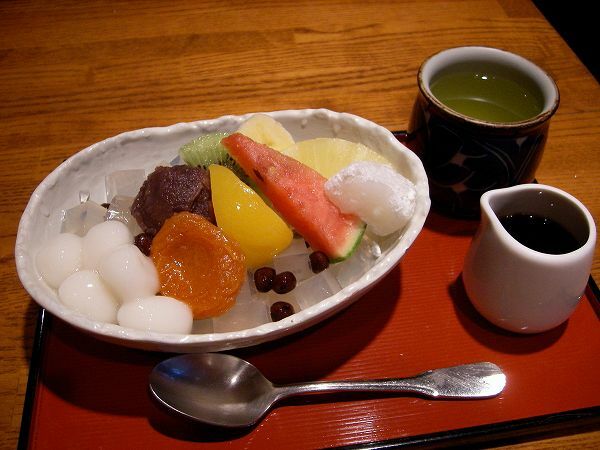 Kudzu Mochi is a desert or snack my mother use bring back for us, whenever she went back to see her parents in Tokyo. 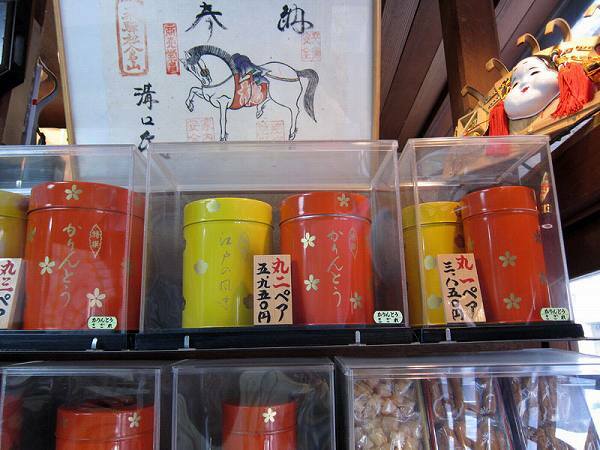 She would always purchase it from the shop which invented it 200 years ago. 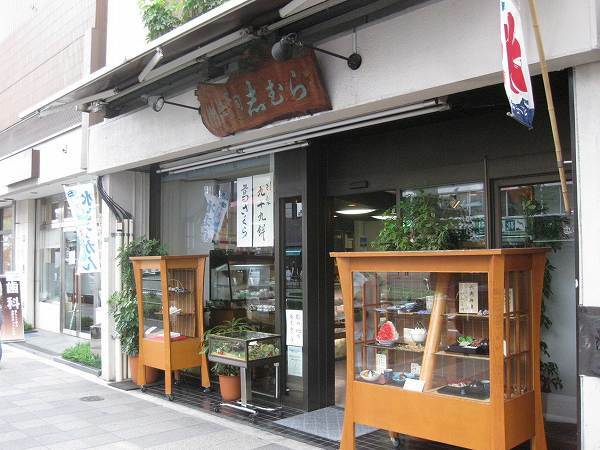 This shop is FUNABASHIYA at Kameido. 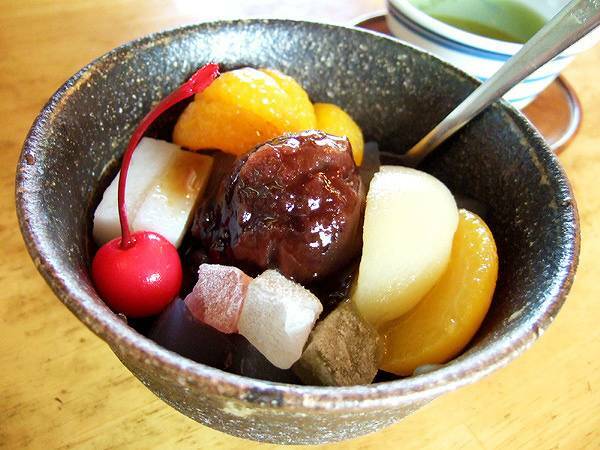 KUDZU MOCHI is a pudding like arrowroot cake. 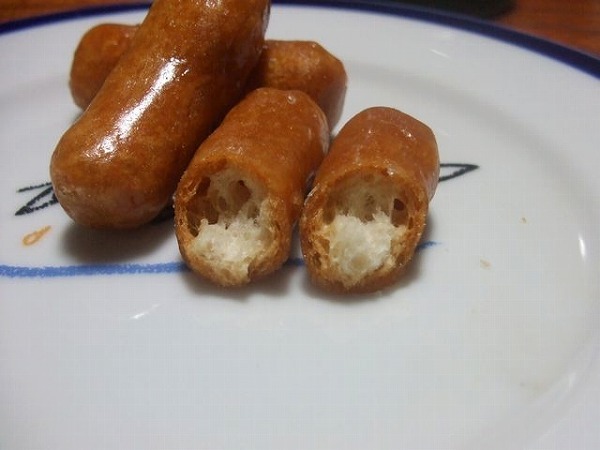 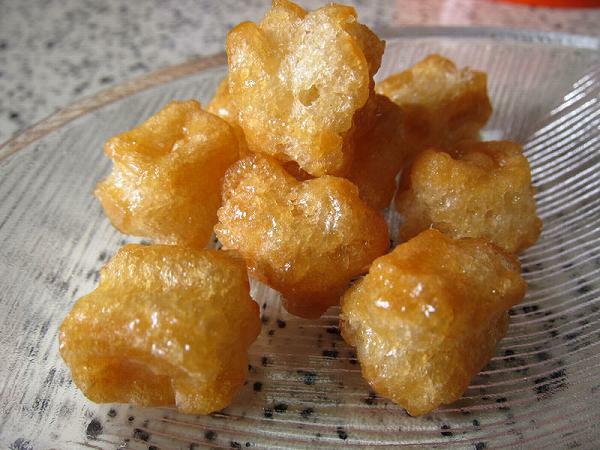 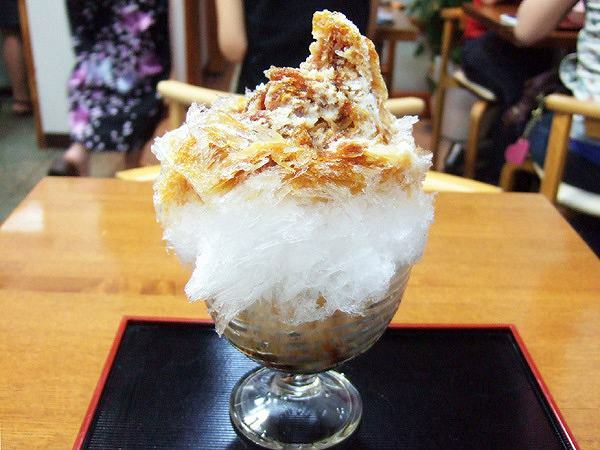 It does have much of a taste and you add Kinako (soybean flour) and Kuromitsu (Brown sugar syrup) on top. 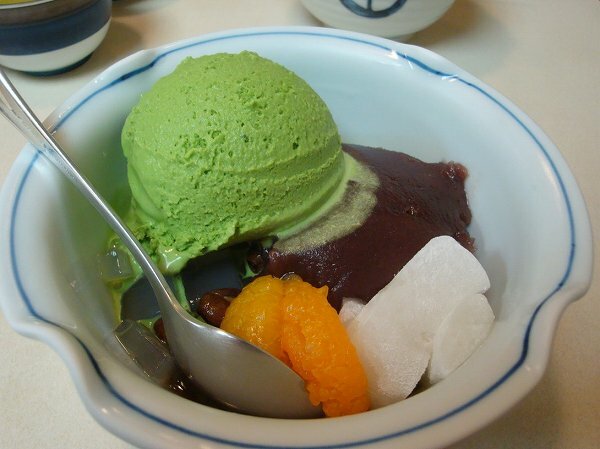 Its one of Tokyo's classical sweets, which goes perfect with green tea. 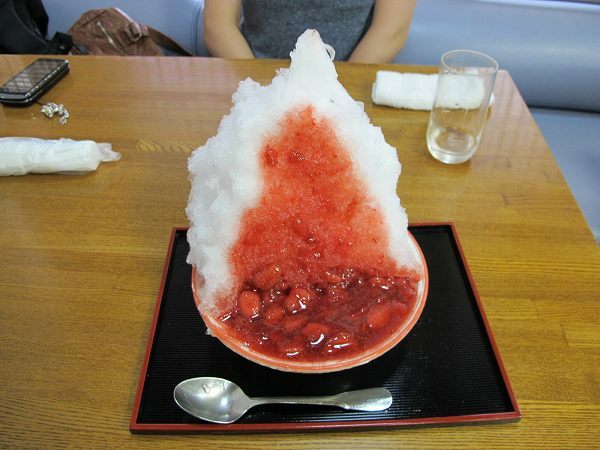 You can also take it out, which most people do. 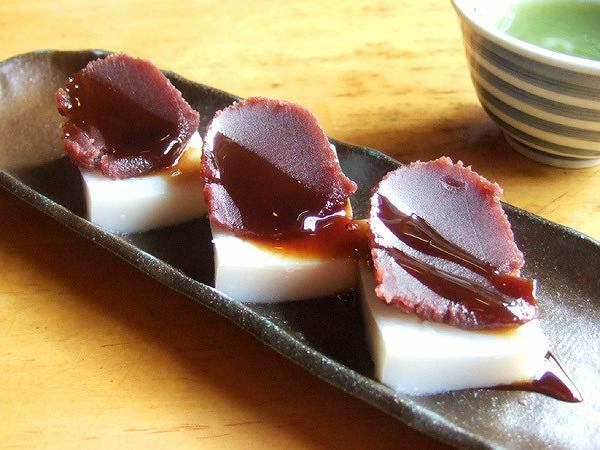 Just like any traditional Japanese sweet shop, they serve ANMITSU, which is a made of small cubes of agar jell. 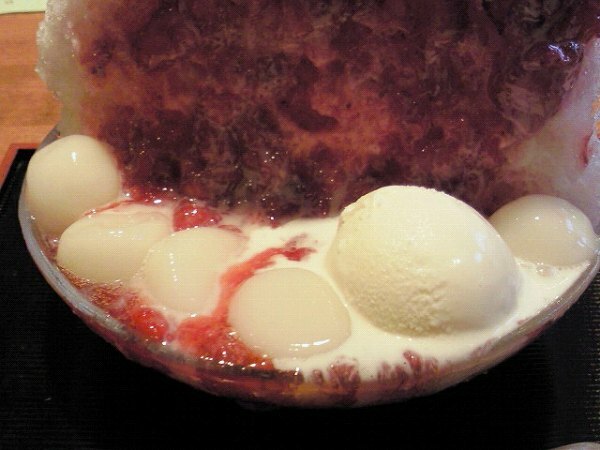 It is a white translucent jelly made from red algae or seaweed. 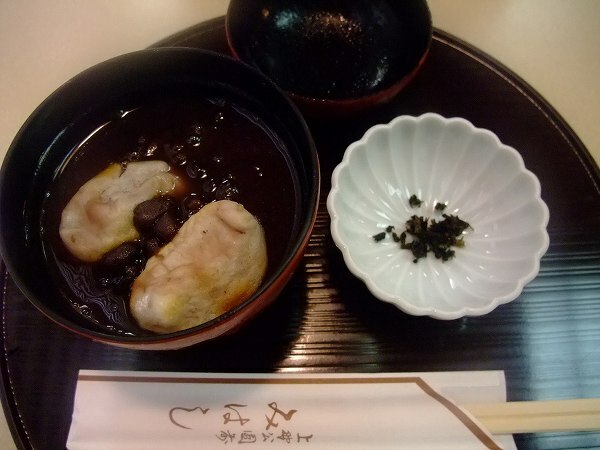 or Shiratama (Rice floor dumplings), which is SHIRATAMA ANMITSU. 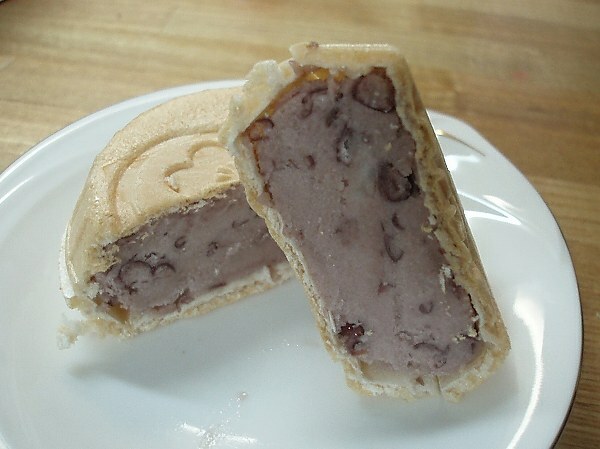 YOSHINO MOCHI (Yoshino kudzu cake with sweet red bean paste). 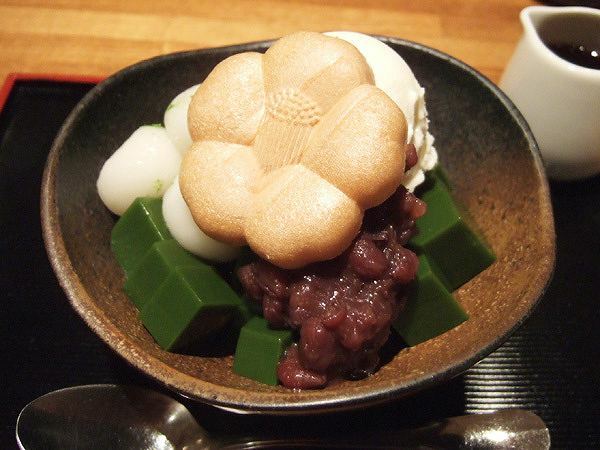 If its your first time visiting Funabashiya, you must order Kudzu Mochi, nothing else. 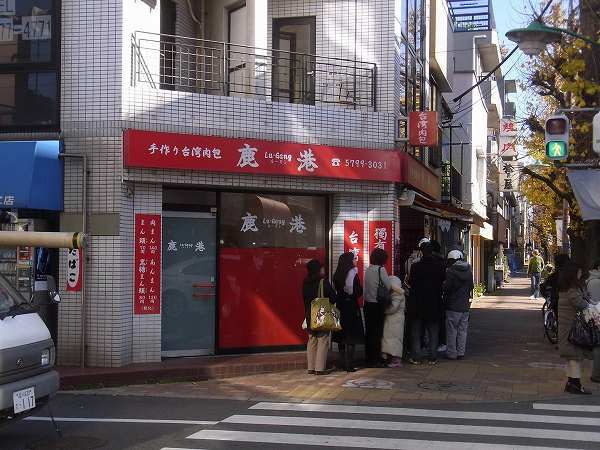 Its also close to Kameido Tenjin, but they do have a takeout only store in Hiroo as well. 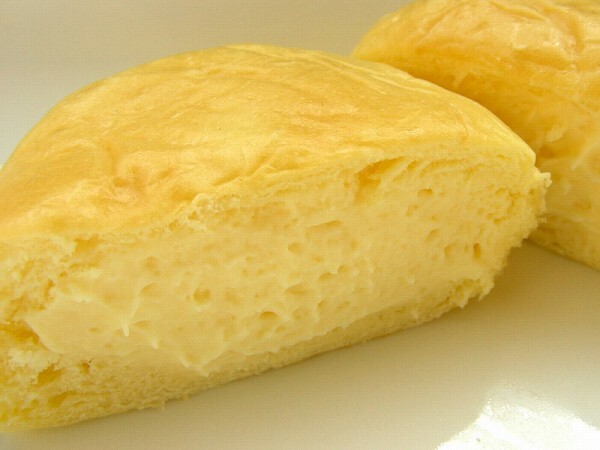 A small bakery shop from Hiroshima, which was close to going bankrupt decided to take one last chance selling their one of a kind CREAM PAN (Custard cream bun) at a train station in Tokyo. 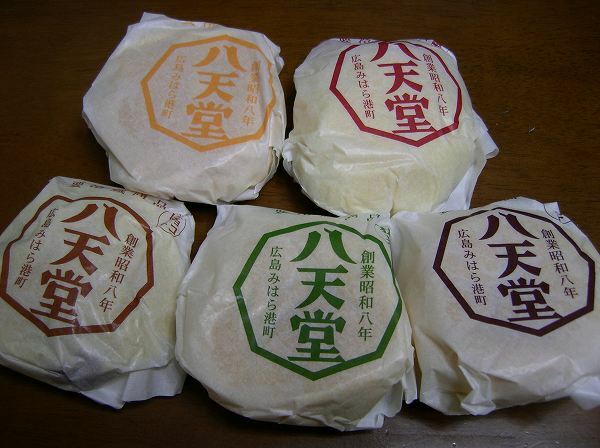 Just by word of month, it became one of the top omiyage's for people to buy when visiting others. 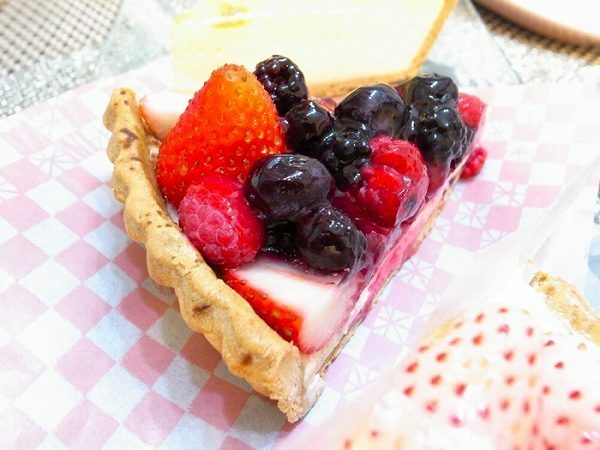 This bakery is HATTENDO at JR Shinagawa. 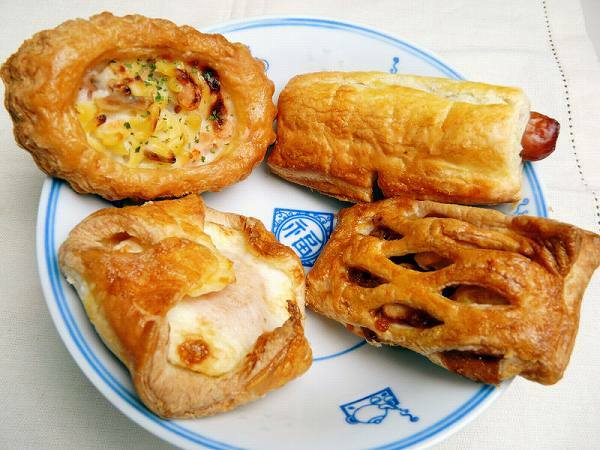 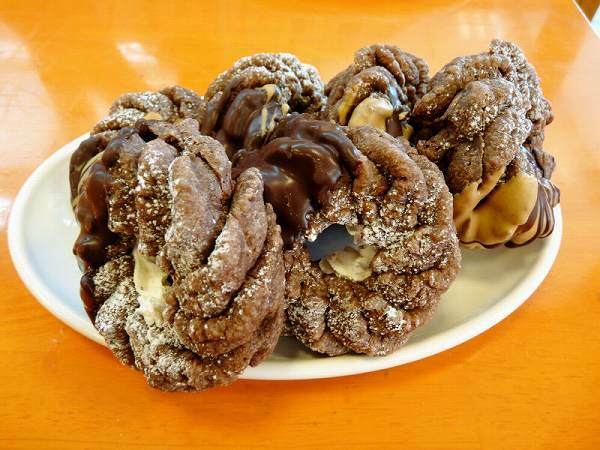 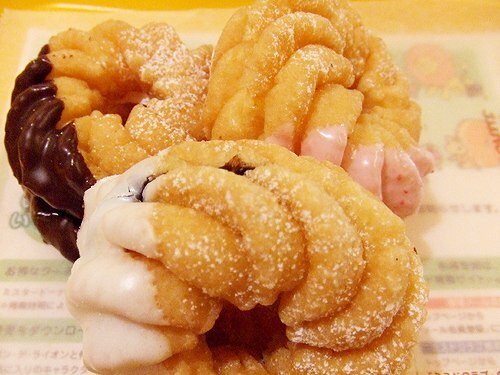 Cream Pan has been one of the most commonly eaten pastries for decades, but Hattendo's is one of a kind. 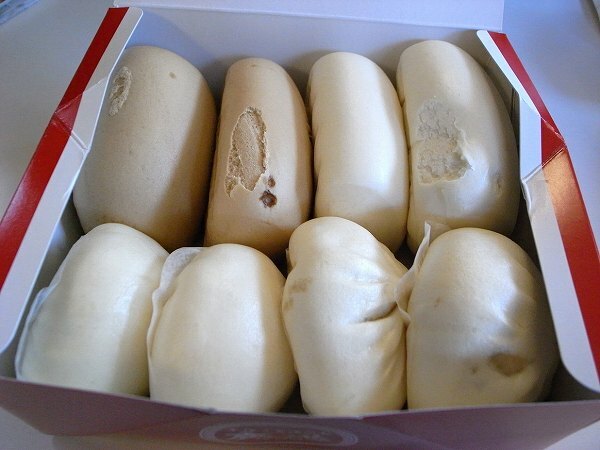 First of all, the bun is extra soft. 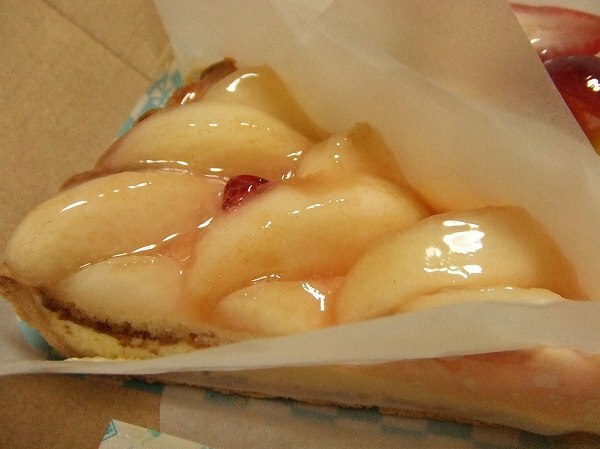 You also need to put it in the refrigerator and eat it cold, not at room temperature like most pastries. 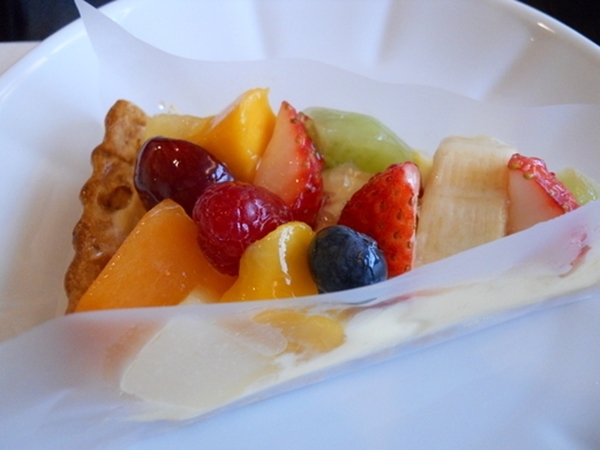 Its also cheap, just 200 yen. 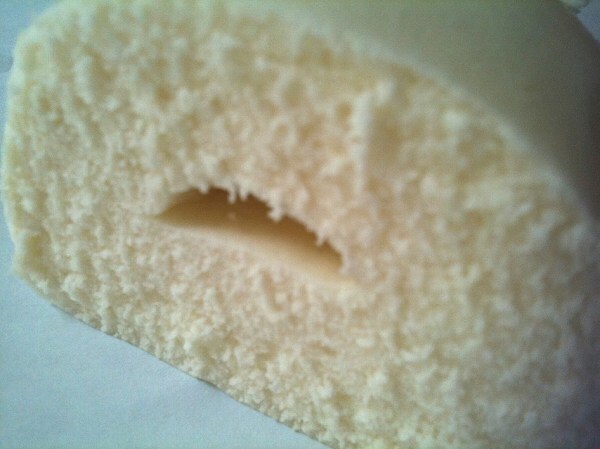 The custard cream is extra soft and smooth as well and once you put the Cream Pan into your mouth, it just melts. 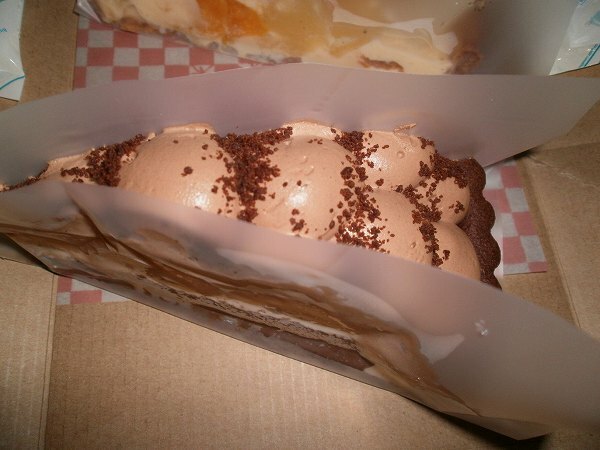 Its almost like eating a thin layer of soft bread with custard cream. 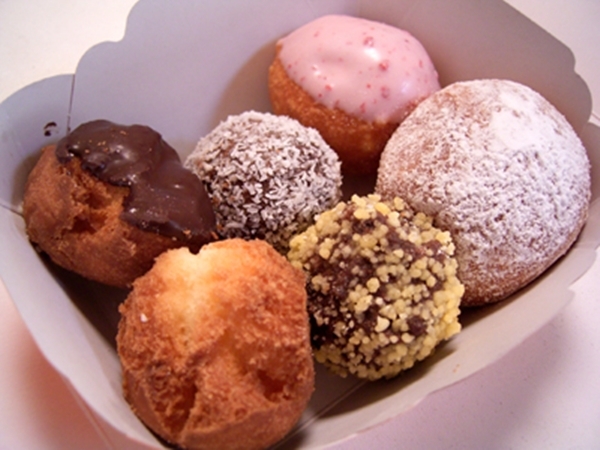 It is smaller than your fist and most people can eat 2 or 3 at once. 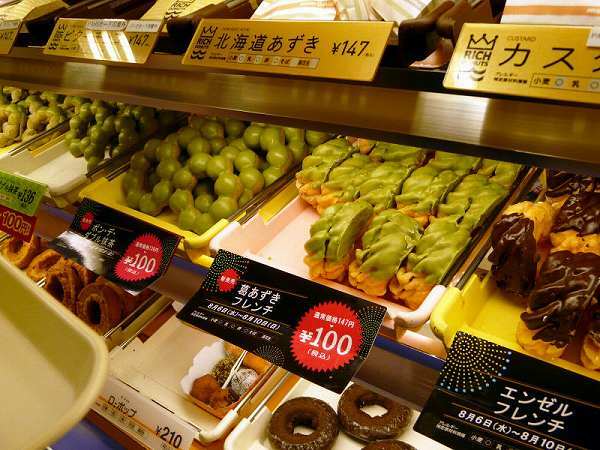 They have other flavors besides custard cream, which are MATCHA (Green tea cream), OGURA (Red bean cream), CHOCOLATE, and NAMA CREAM (Mix of whip & custard cream). 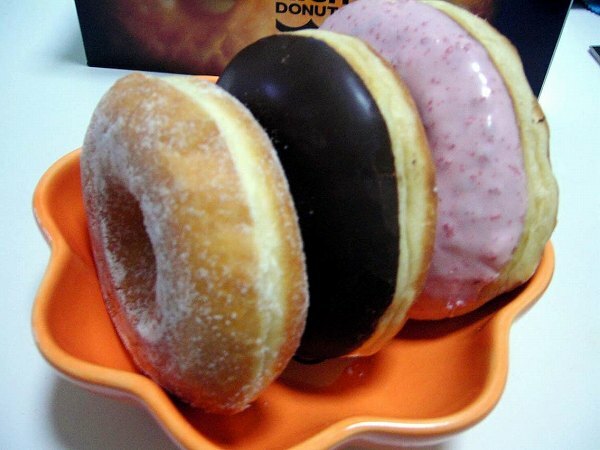 But by far, the most popular one is the regular Cream Pan. 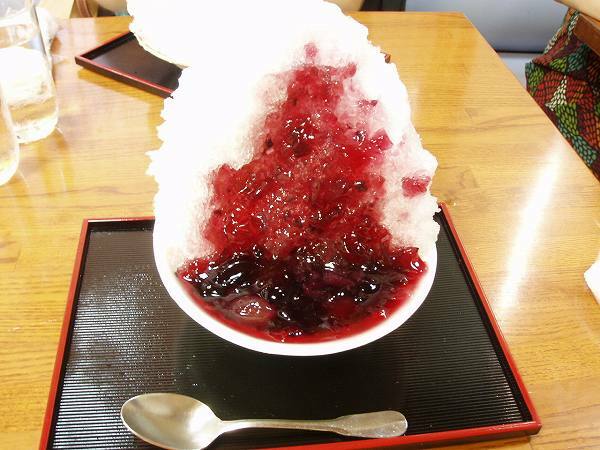 Even though they are open until 10pm, they are usually sold out around rush hour, which is around 6pm. 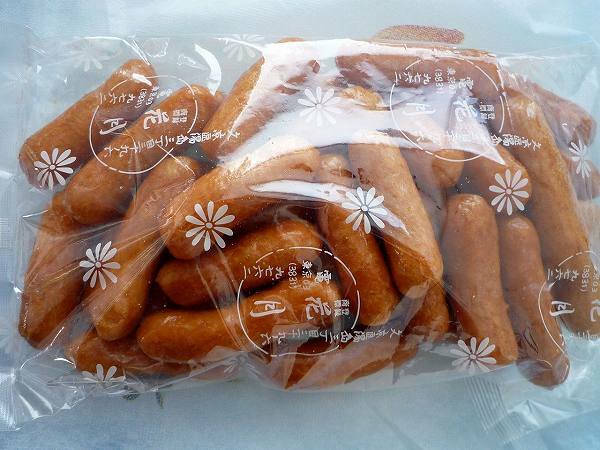 If you are taking the Shinkansen from Shinagawa or Tokyo station, just grab a couple and it will be a great snack to eat while you are on the Shinkansen. 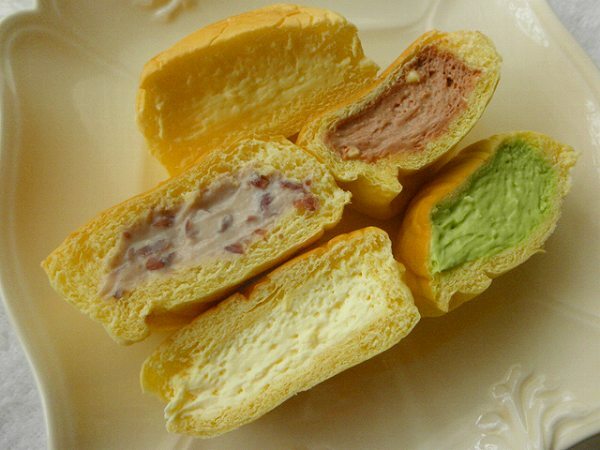 All my friends, who have visited Japan and tried one have all fallen in love with Hattendo's Cream Pan and wanting to bring it back to their country. 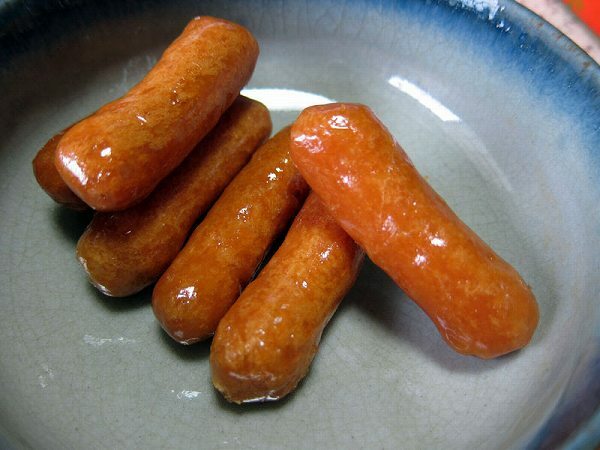 But since they don't use any preservatives it only lasts 2 days in the refrigerator. 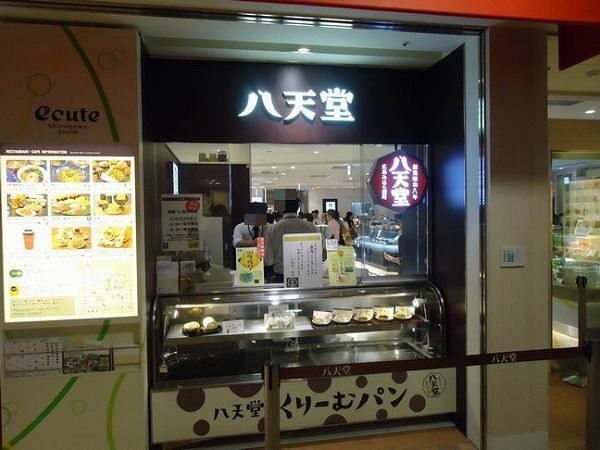 They have 2 other stores at Tokyo and Akihabara station. 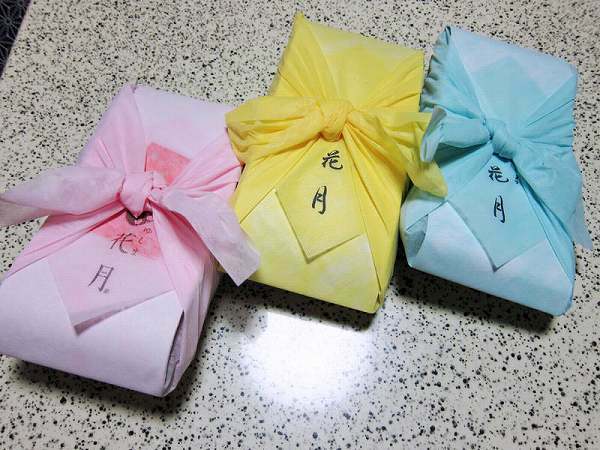 When visiting someones house in Japan, we usually bring some omiyage (gift) and many people choose cakes for this. 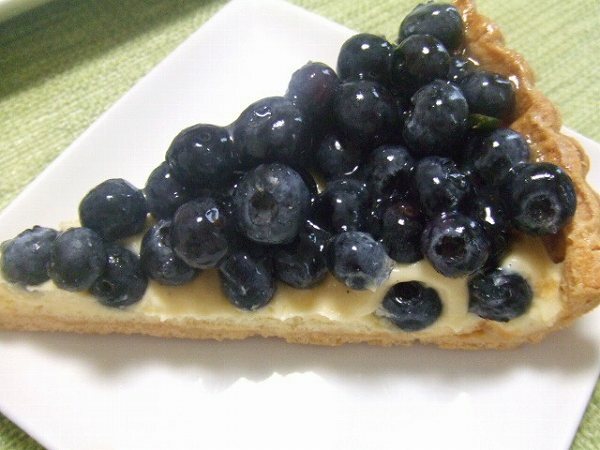 You want to bring something that is not only delicious, and famous, but looks great as well. 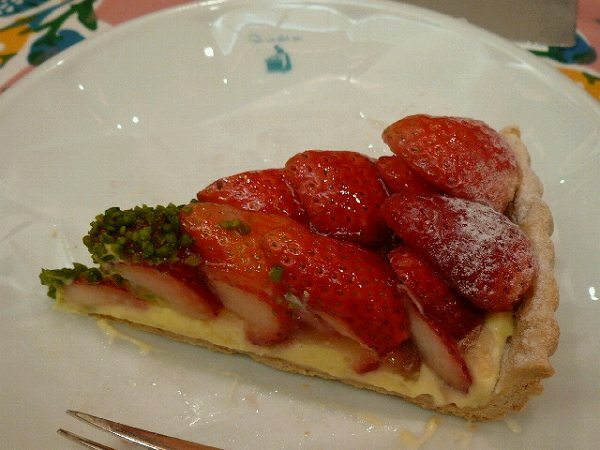 If its my first time visiting the person's house, I usually get fresh fruit tarts from QUIL FAIT BON at Daikanyama. 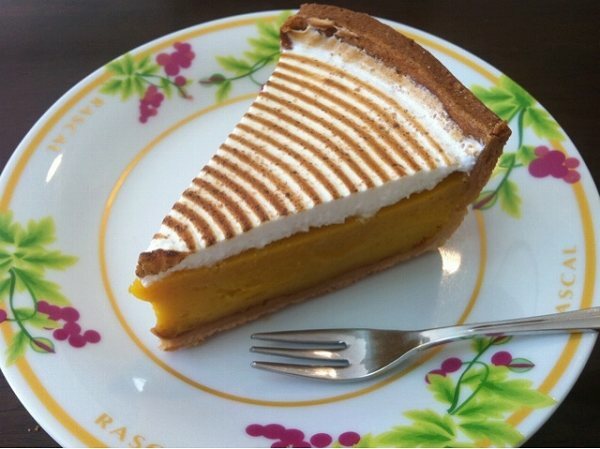 KABOCHA NO TART (Pumpkin tart). 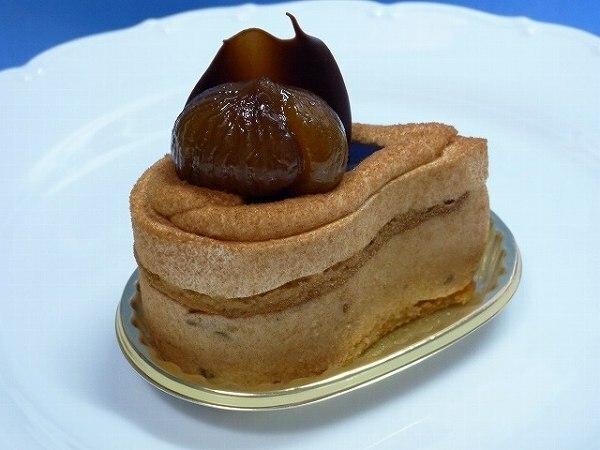 Quil Fait Bon is originally from Shizuoka and owned by a furniture shop. 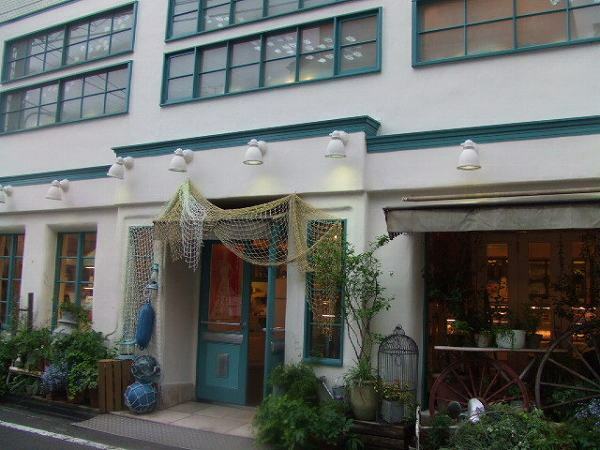 They also have stores at Aoyama and Ginza. 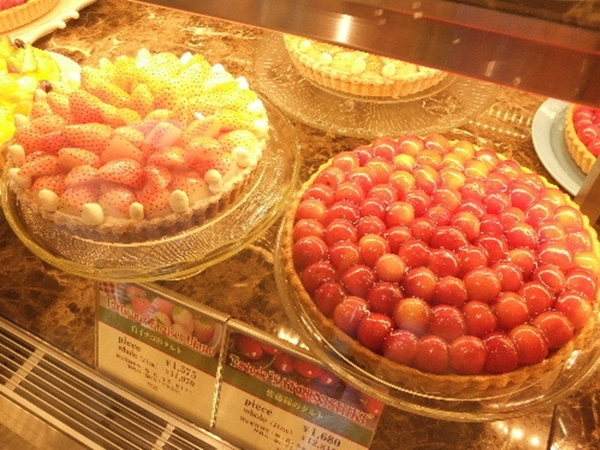 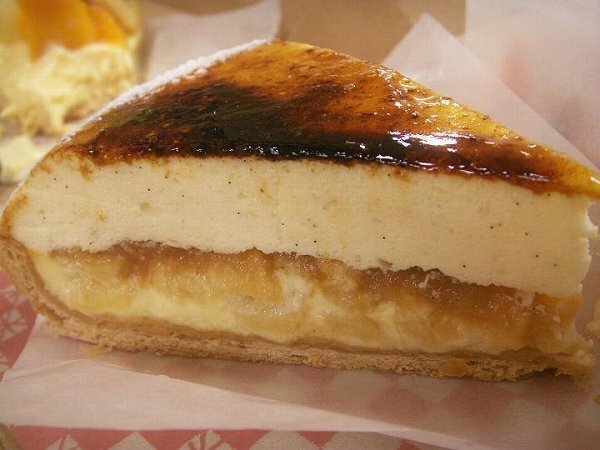 And at the Daikanyama and GInza store, they have a cafe as well where you can eat these tarts. 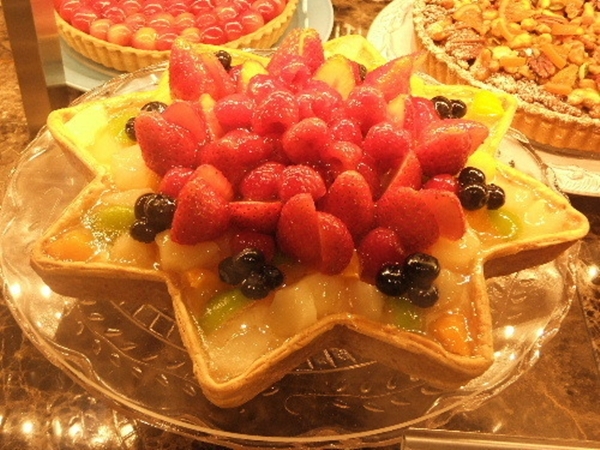 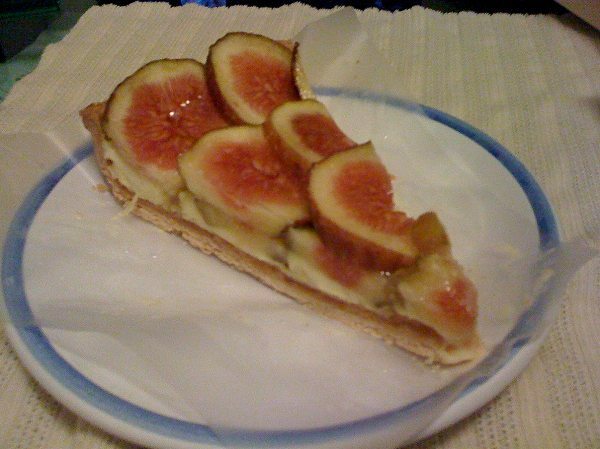 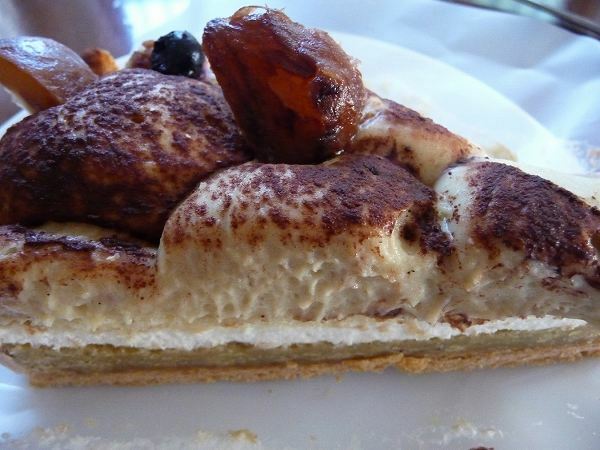 The crust, custard cream and other creams used for the tarts are very simple and normal, but what makes it different from other fruit tarts is that they use the best fruit available and especially how they decorate it. 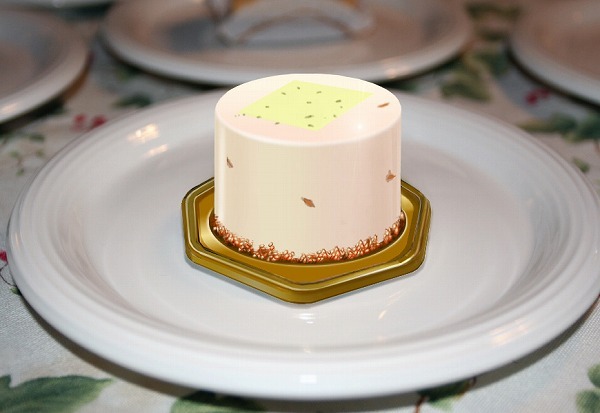 It just looks so beautiful and delicious, that it puts a smile on all generations when they first see it. 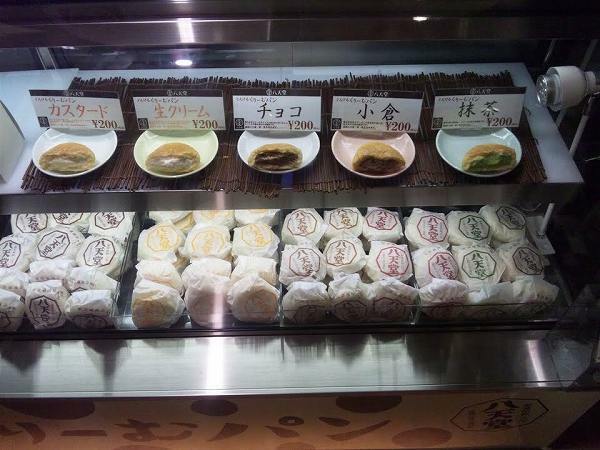 Nikuman or Butaman (Steamed pork buns) are sold at any covinience store in Japan. 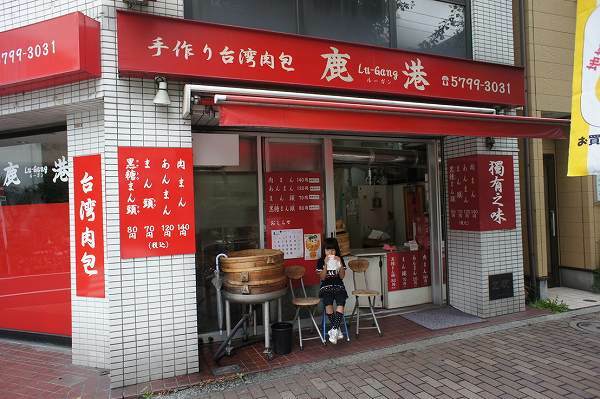 If you visit Chinatown at Yokohama, Kobe or Nagasaki there are many shops which claim to be the best, but if you ever had one from LU-GANG at Kamimachi, you would agree that they are best. 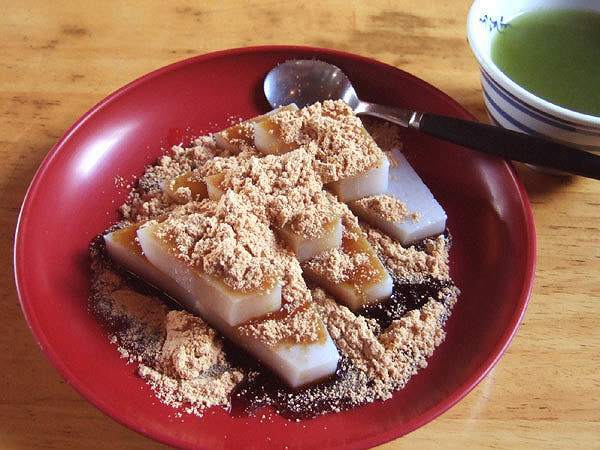 Lu-Gang is actually a name of a city in Taiwan. 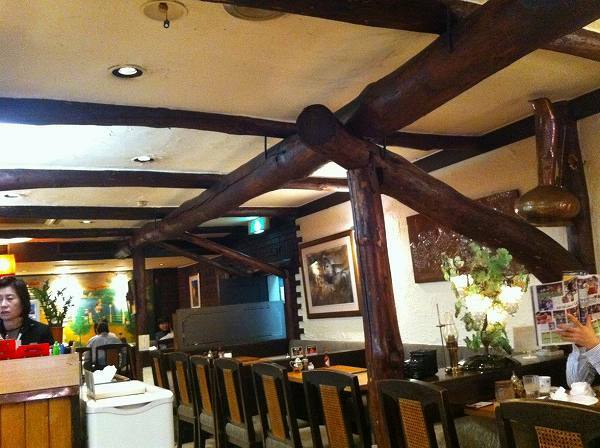 The owner/chef was a school teacher before opening Lu-Gang. 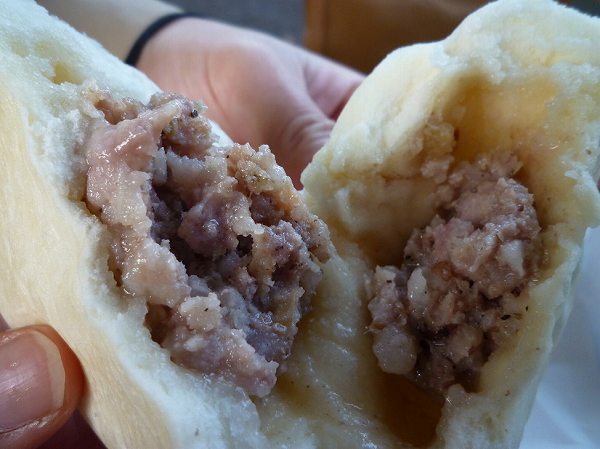 He went to Taiwan for a class trip with his students and one of the tour guides suggested to try out a nikuman from a famous local shop. 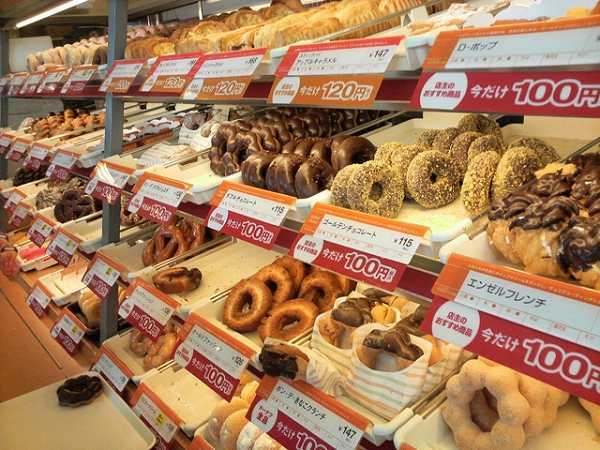 He was shocked to see people wait for hours to purchase one and also how good it was. 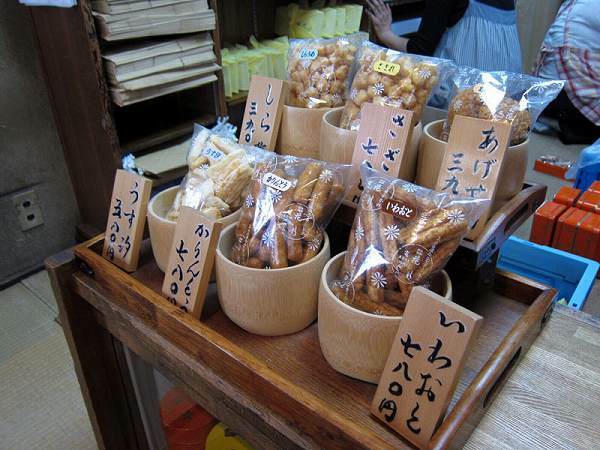 Even though he was a school teacher, he always had a dream to open his own shop one day and thought that this was it. 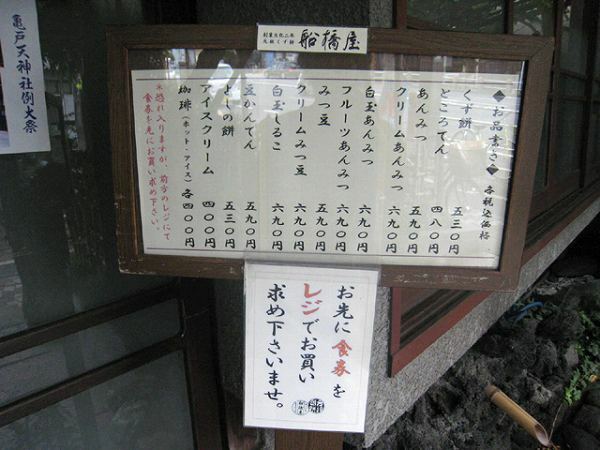 After 3 years of asking the owner to let him work there, he finally got his wish and did so for several years. 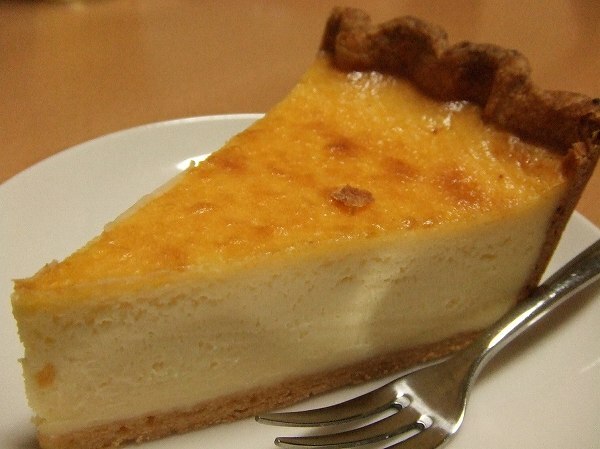 He was given the secret recipe which was only passed on to the 1st son for several generations and still is the only who knows the recipe who isn't family. 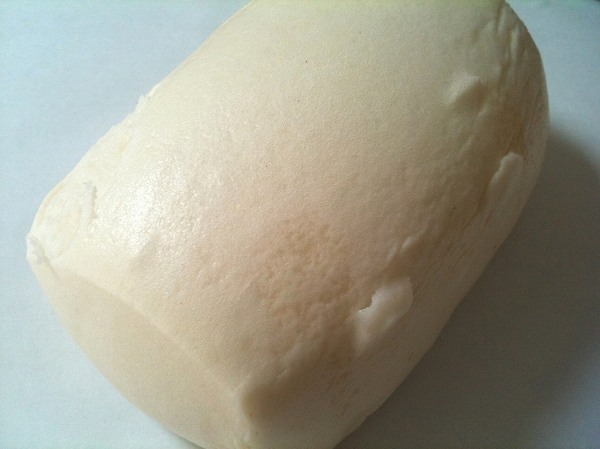 Lu-Gang only sales 4 items. 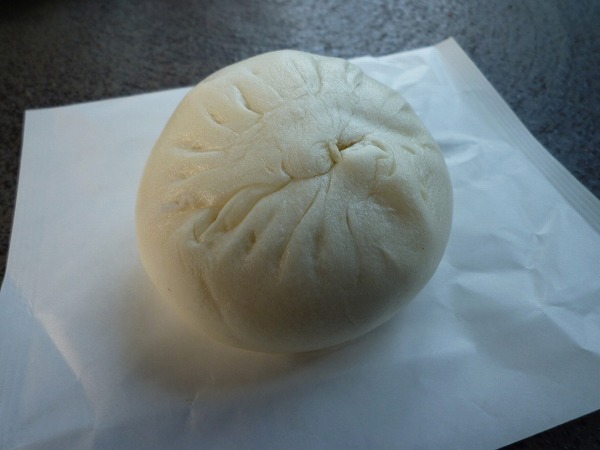 NIKUMAN (Steamed Pork Bun) for 140 yen. 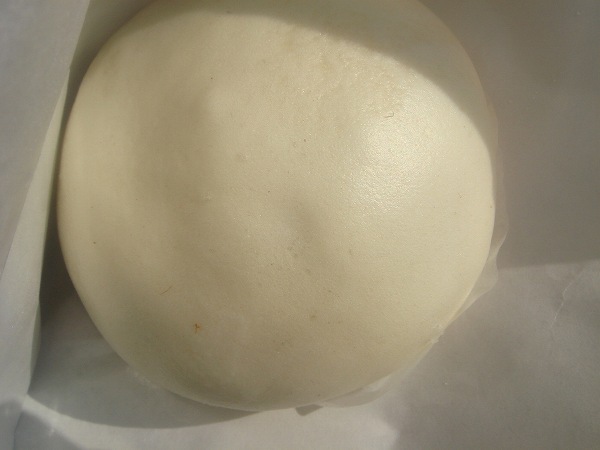 What makes this special compared to others is not the pork filling it's the bun. 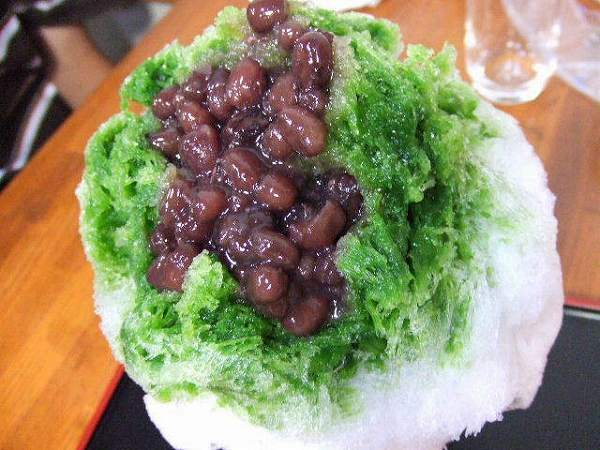 There are really no words to describe this and you need to actually have it to know why its the best. 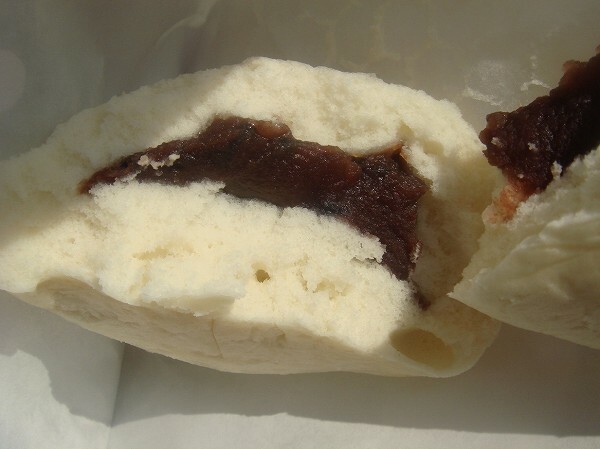 and finally KOKUTOU (Steamed Brown Sugar Bun) for 80 yen, which is just a bit sweeter than Mantou. 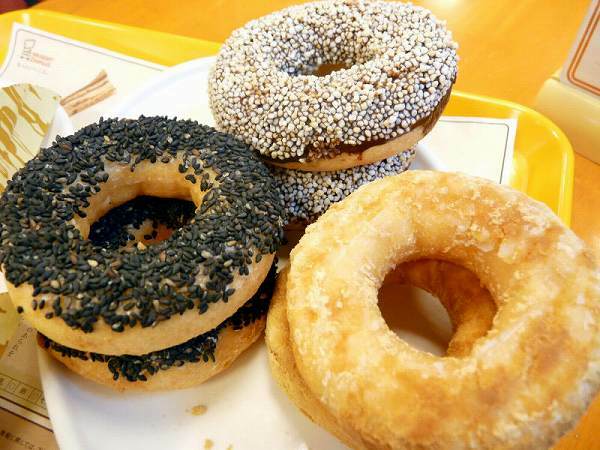 Lu-Gang opens at 10am, but they usually sell out around 1pm on weekdays and even earlier on weekends. 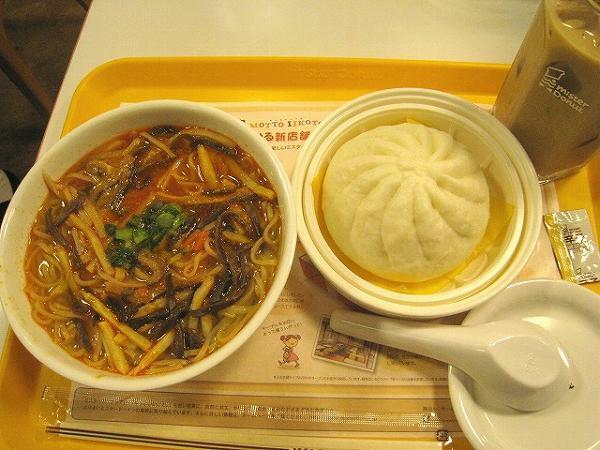 There is no space to eat, so you either eat on the street or take it back home and reheat it. 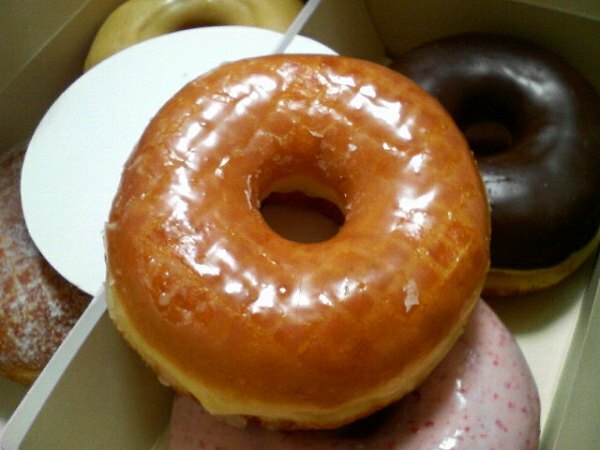 I usually have one at the spot and enjoy the rest at home and I would suggest to others to do the same. 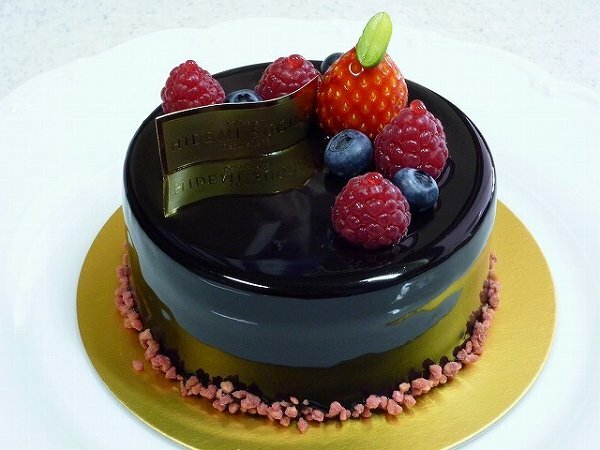 HIDEMI SUGINO is the first oriental person to win the most prestigious competition, La Coupe du Monde de la Pâtisserie, the world cup of pastry in 1991. 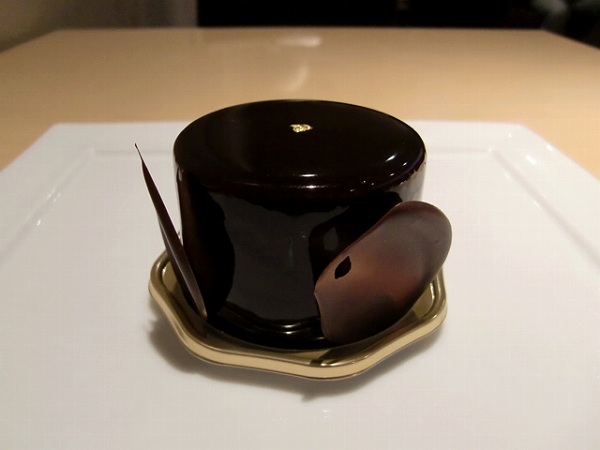 He is also the first oriental person to become member of Relais Desserts, which only has 85 members around the world. 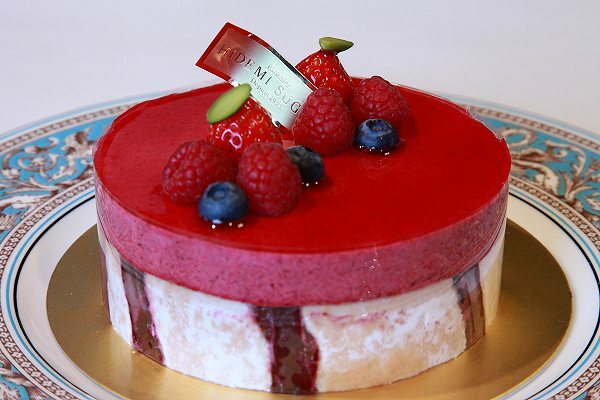 After training in France for several years he came back to Japan and was hired as chief pâtissier at various shops before opening his own shop HIDEMI SUGINO in Kobe. 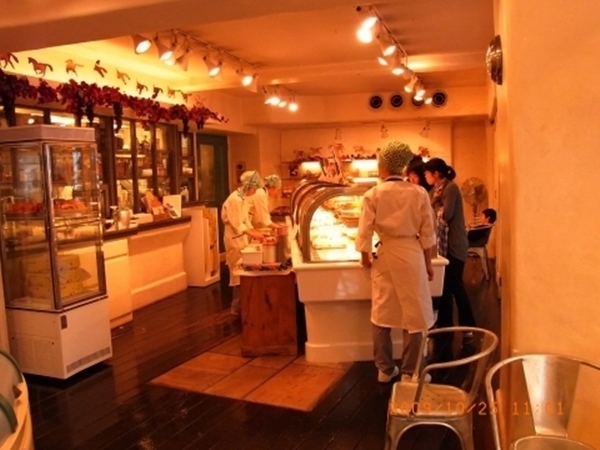 He then moved his shop to Kyobashi, Tokyo in 2001 and is probably the most popular pastry shop in Tokyo for the last 10 years. 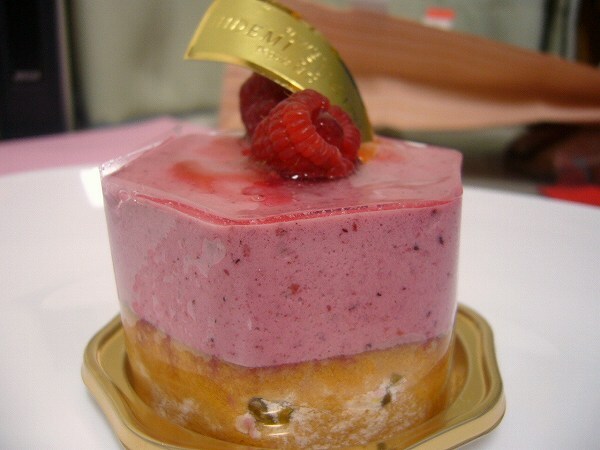 He uses a limited amount of sugar and his creations are probably the most artistic of all pâtissiers in Japan. 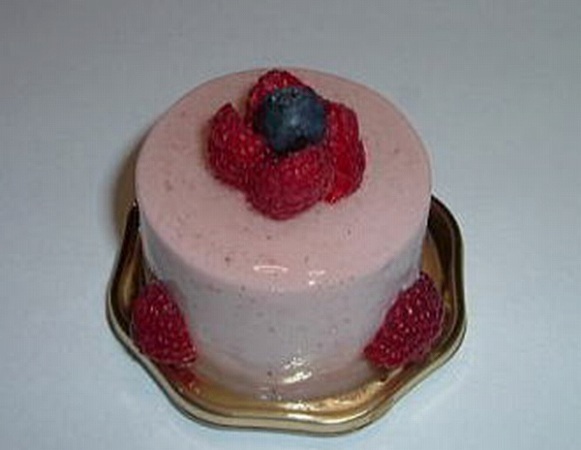 Most of his creations are mousse based cakes. 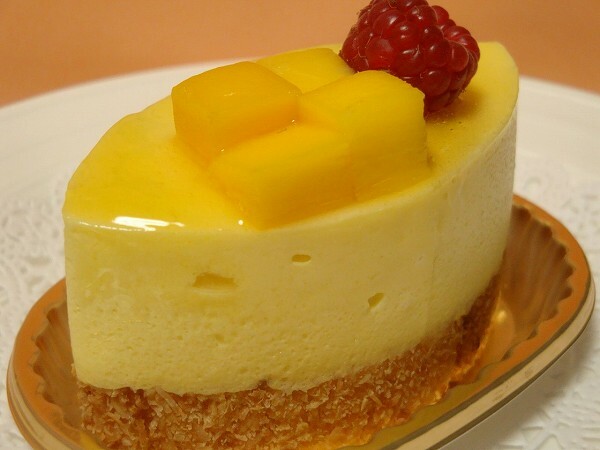 He uses very limited gelatin, which makes it extra soft and creamy, but since its so soft, most of his cakes need to be in a refrigerator within a hour after it is purchased. 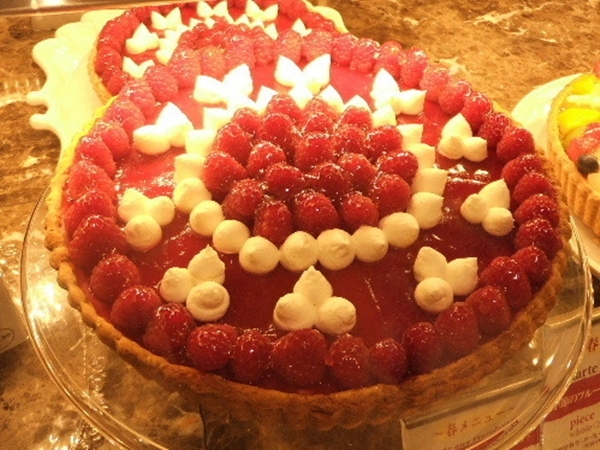 There are also cakes which can only be eaten at his cafe. 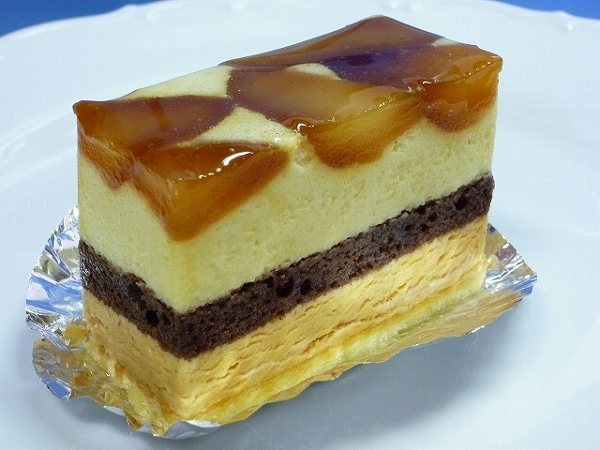 These cakes are just too soft to travel even for 15 minutes. 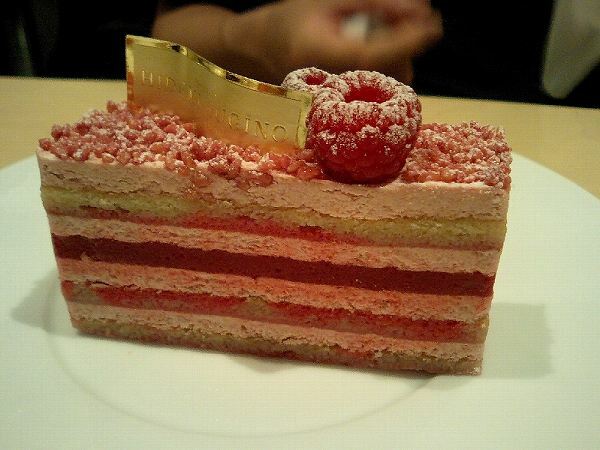 His most famous cake which you can only eat at the cafe is MARIE, a wild strawberry & pistachio mousse cake. 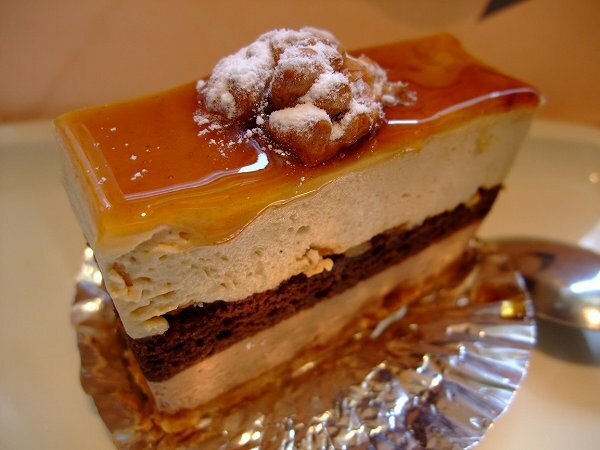 Another one is AMBROISI, a chocolate mousse cake. 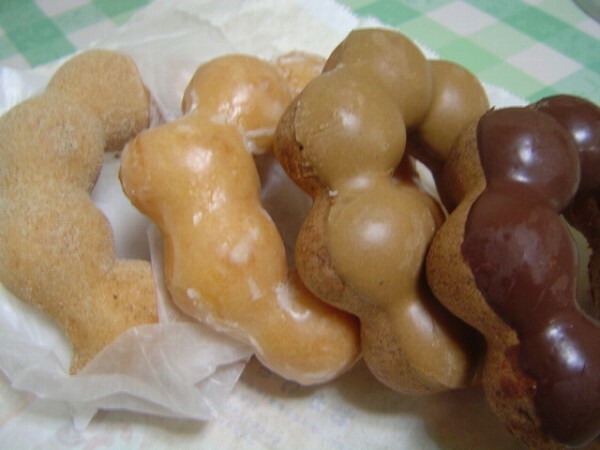 There are only 10 made everyday, so you have to be lucky to eat both at the same time. 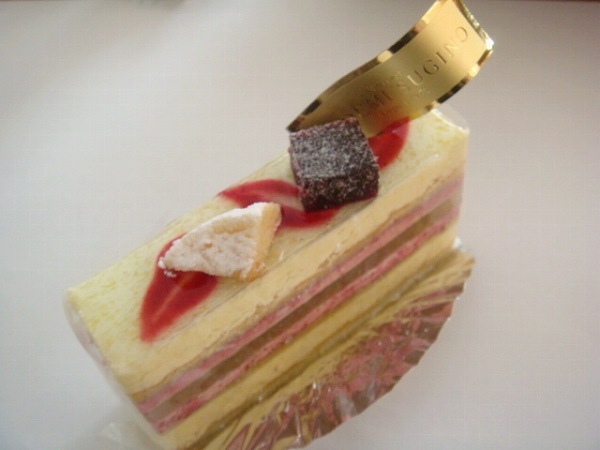 Although Hidemi Sugino is open from 11am-7pm, cakes are added at 11am when it opens and at 2pm as well. 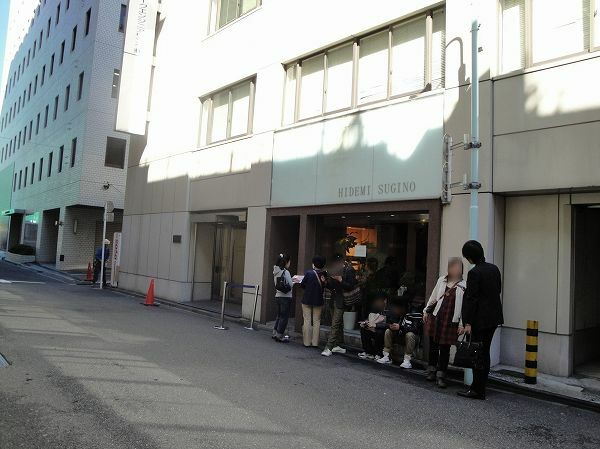 They will be sold out within an hour or so and there will be many people online waiting. 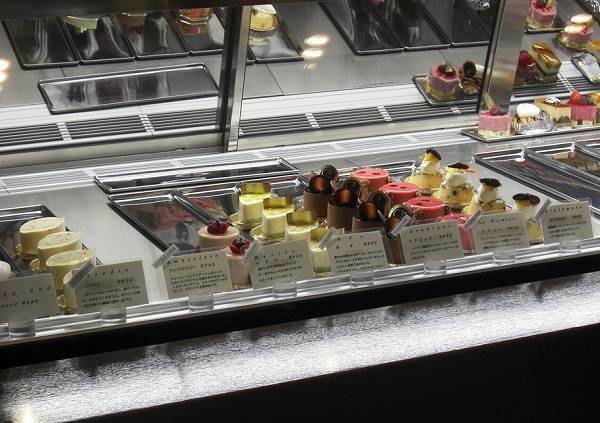 You will need to be there at least 30 minutes before and even if there are many cakes available you are only allowed to purchase 6 pieces. 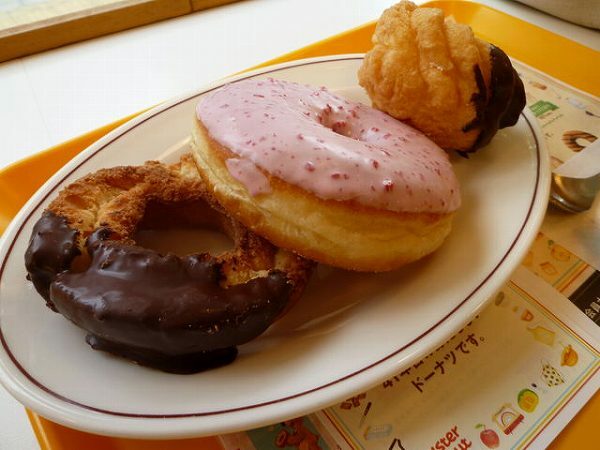 You are allowed to eat 2 pieces at the cafe, but then you can only takeout 4. 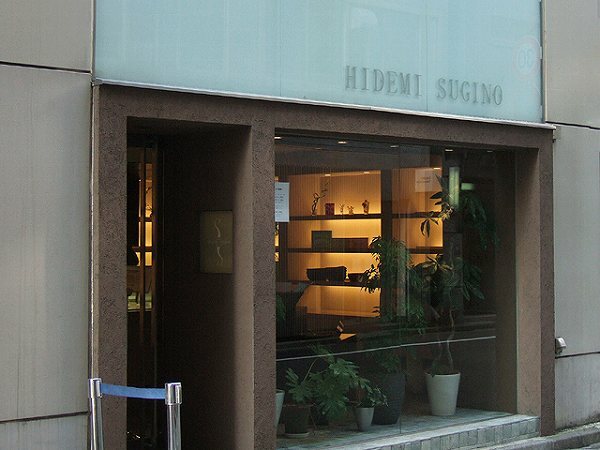 If you want to eat a modern sensitive cake, which you won't find anywhere else, go to Hidemi Sugino even if you have to wait a hour or so. 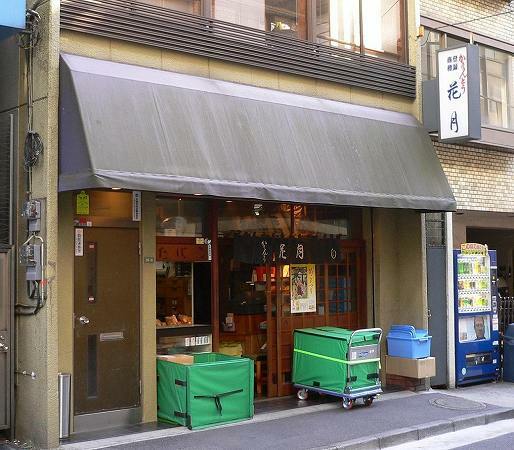 50 years ago no one really knew what pizza was and the only place you can eat it was an Italian restaurant owned by a former American soldier in Roppongi. 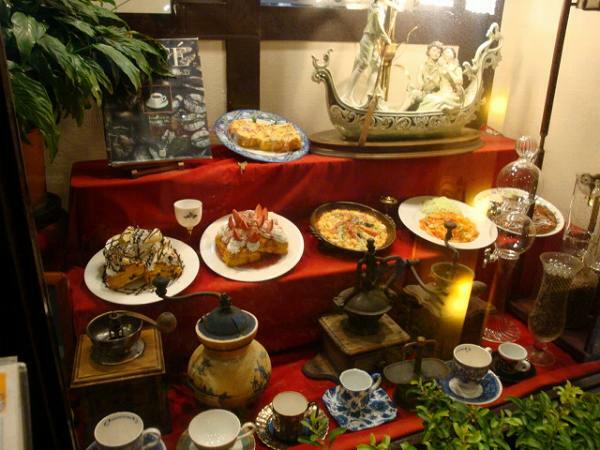 (this restaurant is still there, but different ownership) A person who owned a coffee shop went to eat pizza at this restaurant and loved it. 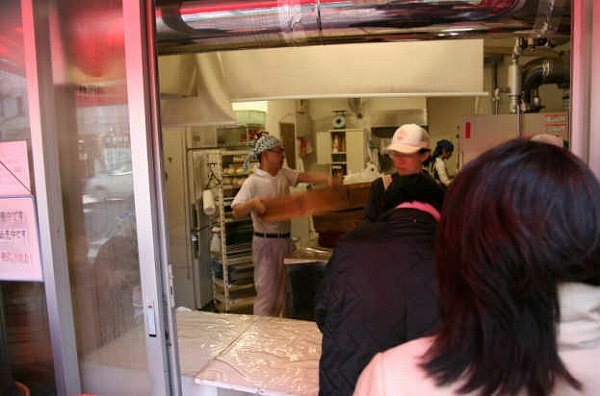 He knew that if he served at his shop it will give his business a kick and one of the few places to have pizza. 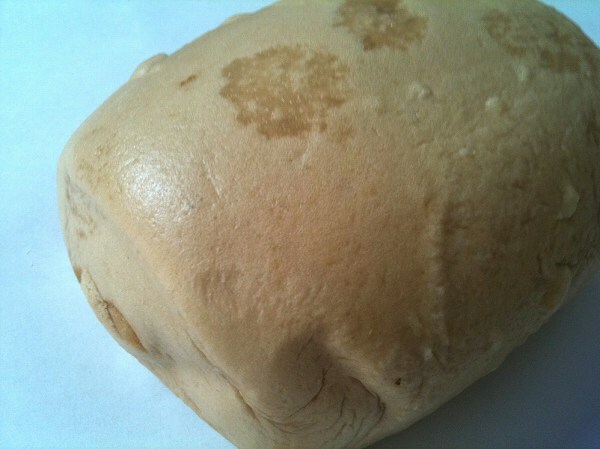 Unfortunately, he didn't have the recipe to make the doe, so he used regular bread instead and invented PIZZA TOAST. 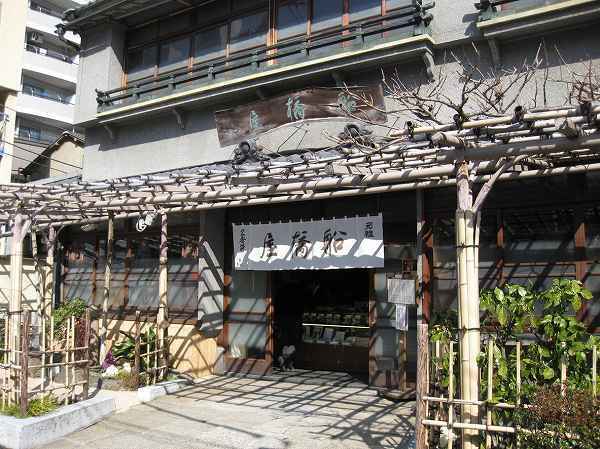 His shop became so famous that coffee shop owners from all over Japan came to eat it and copied the recipe in the 70's. 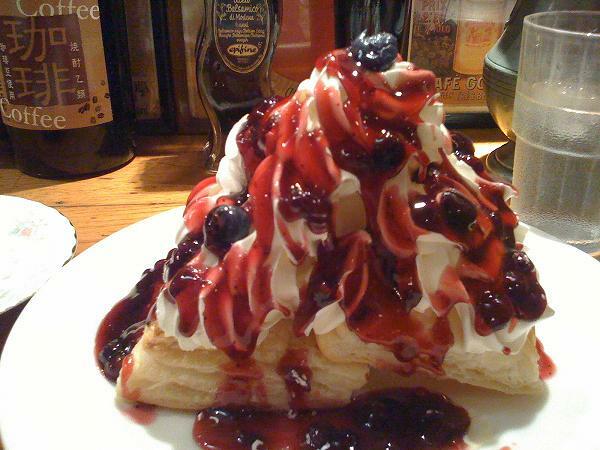 You don't see Pizza Toast that often at coffee shops now, but if it wasn't for BENISHIKA at Yurakucho, pizza would have been introduced much later to people through out Japan. 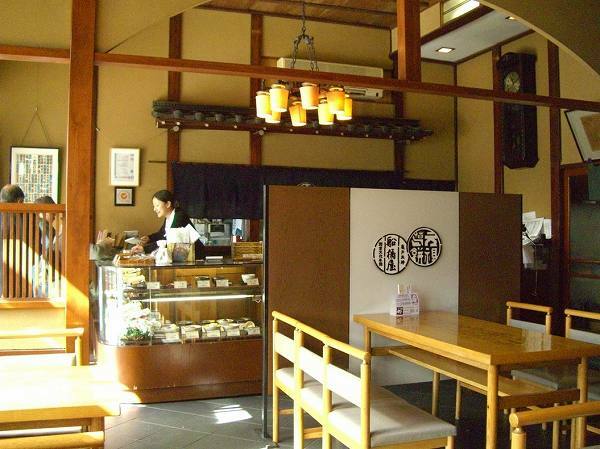 Benishika is an old fashioned coffee shop with a wide variety of food and drinks. 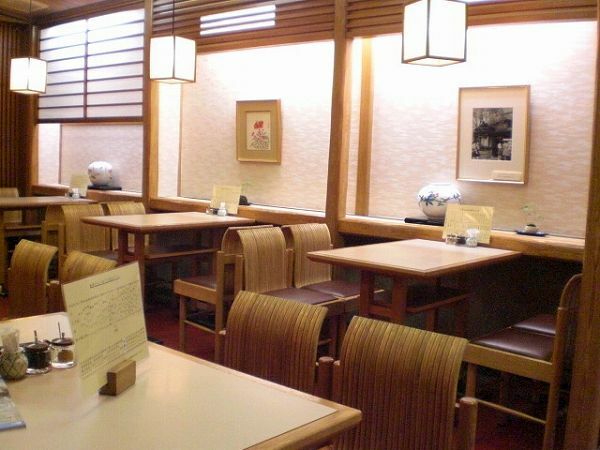 In the old days, Yurakucho was the place to go see movies and many couples would often meet at Benishika before going to the movies. 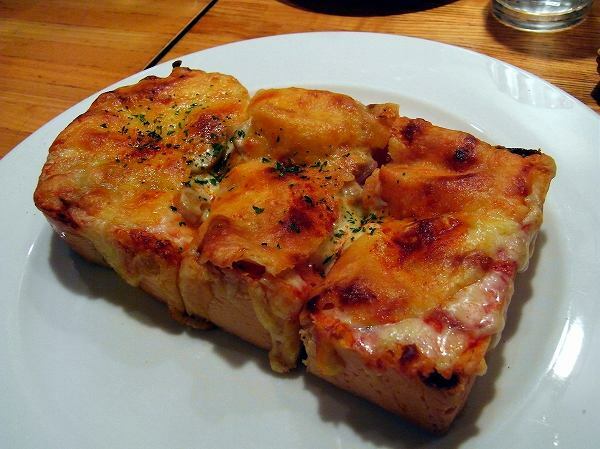 This is the original Pizza Toast for 800 yen. 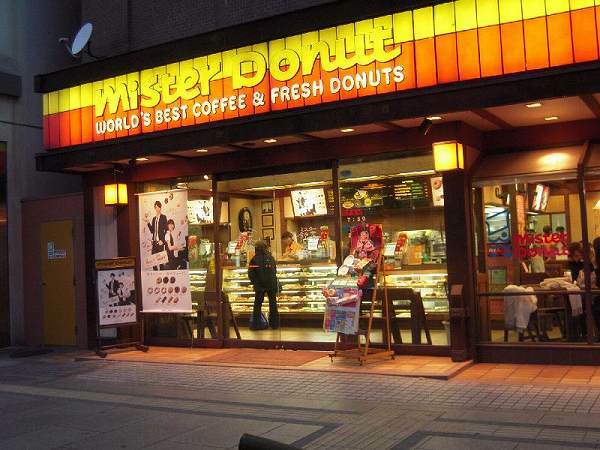 Nothing special about it with so many pizza shops all over Tokyo now, but its very nostalgic to many and reminds you of the old days in Japan. 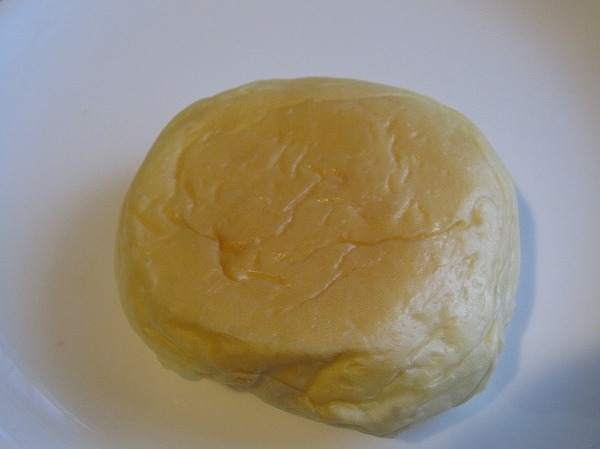 People didn't eat much cheese until Pizza Toast was invented and to many it was their first experience of having melting cheese. 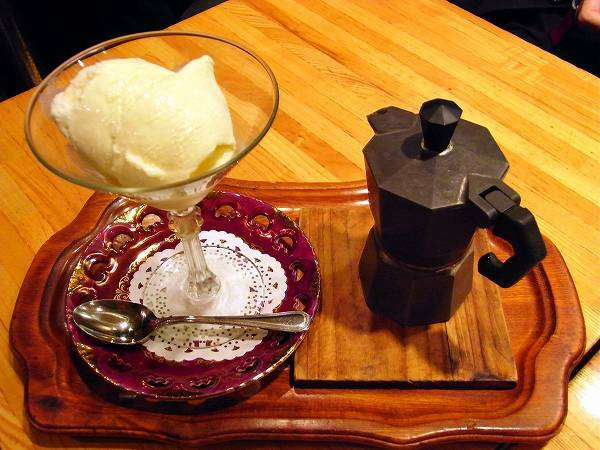 and their original CAFE VENETIAN for 800 yen, which you pour espresso type coffee over ice cream. 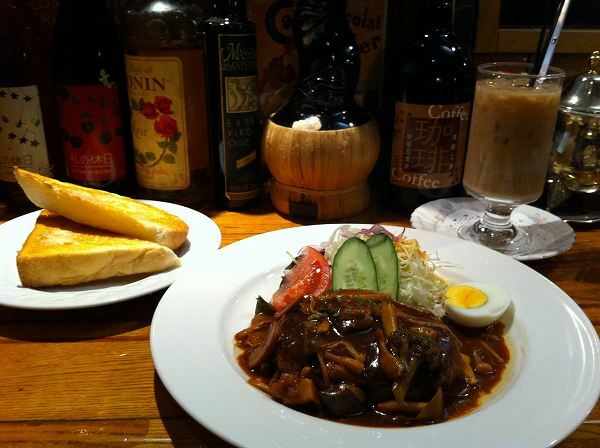 They also serve various lunch sets during lunch time between 800-1,500 yen, which is popular to people working near by. 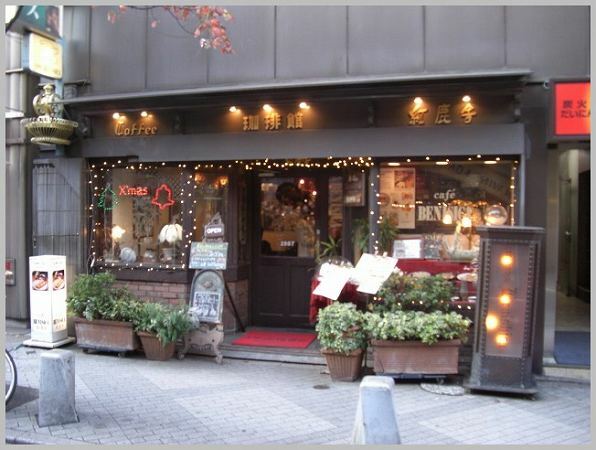 Many of the famous Yurakucho shops from the 60's & 70's are gone, but Benishika is one of the few still around. 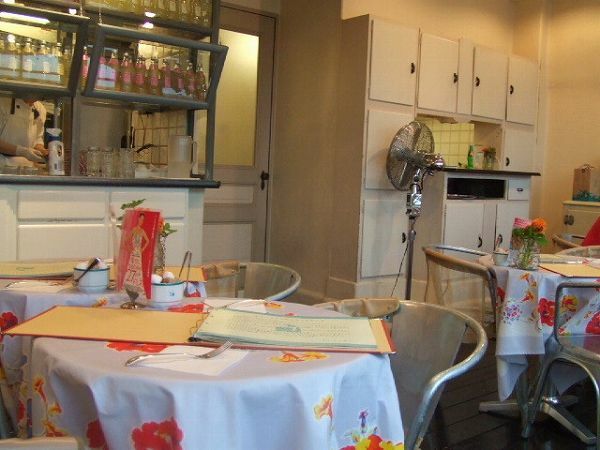 If you want to experience what coffee shops were like in the 60's & 70's check out Benishika. 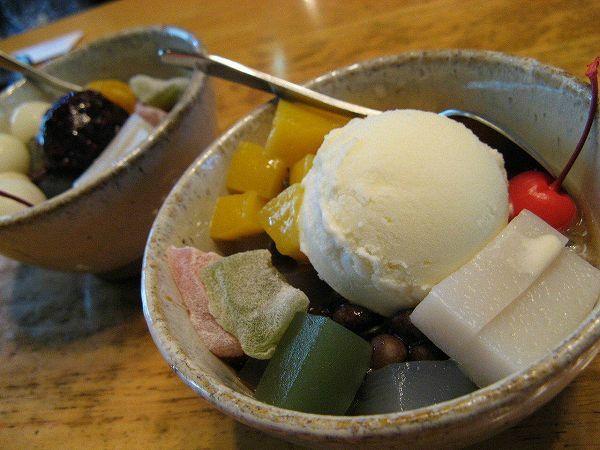 Nothing fancy about the place, but everything is simply good. 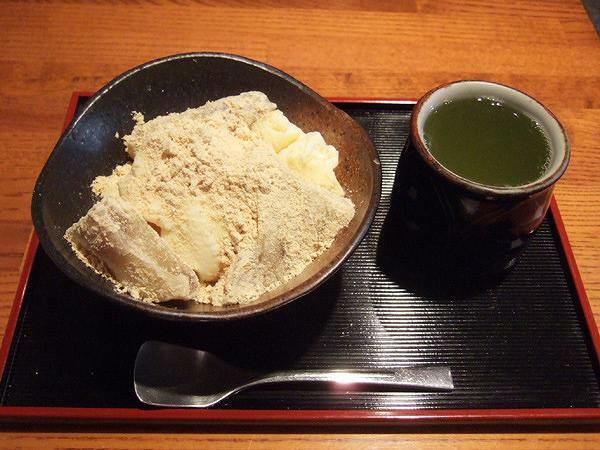 Wanna try Japanese deserts at a traditional Japanese cafe, one of my favorites is MIHASHI at Ueno. 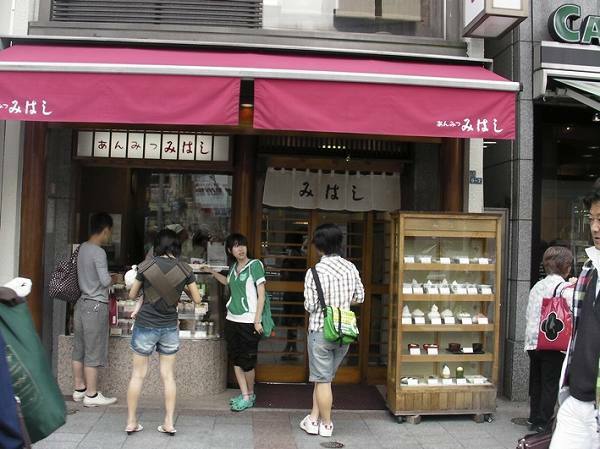 Mihashi has multiple locations including one inside Tokyo station, but their main shop is the one in Ueno. 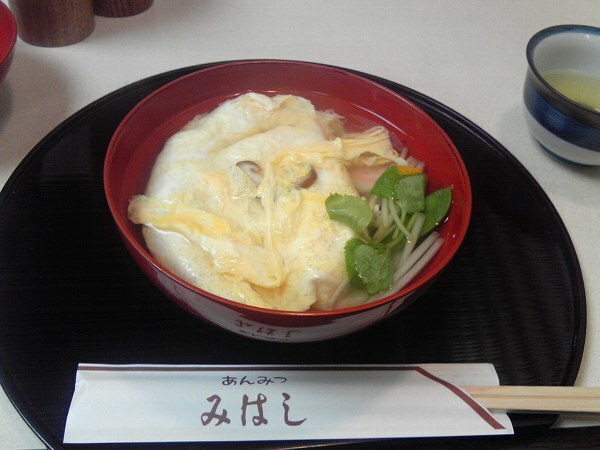 I usually takeout instead of eating at the shop since there could be a decent wait especially on weekends & holidays. 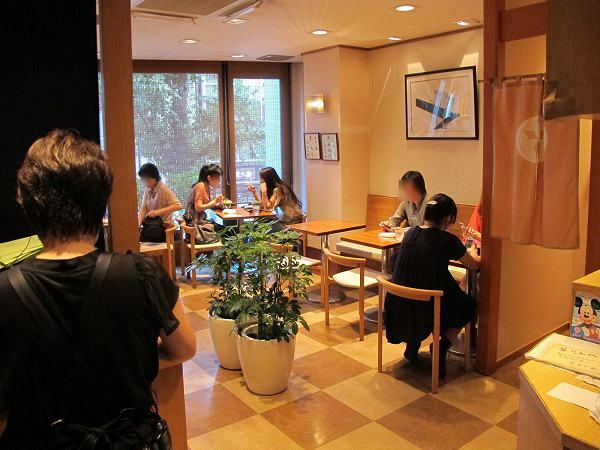 When you enter Mihashi, you place your order first at the cashier and they will give you a ticket. 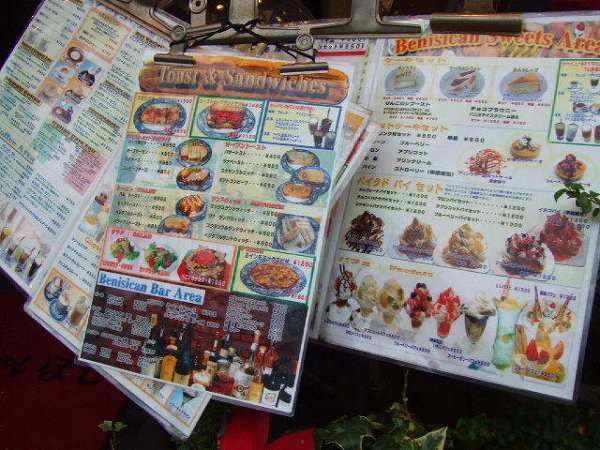 They will have a menu with pictures right in front of the cashier. 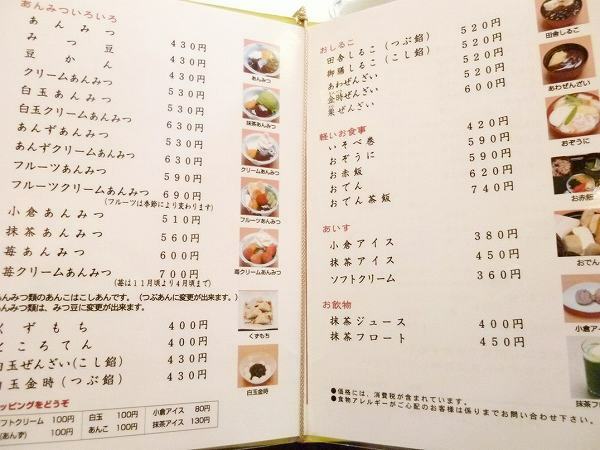 If you want to take time to decide on what to order just get a table first, check the menu there and then go to the cashier. 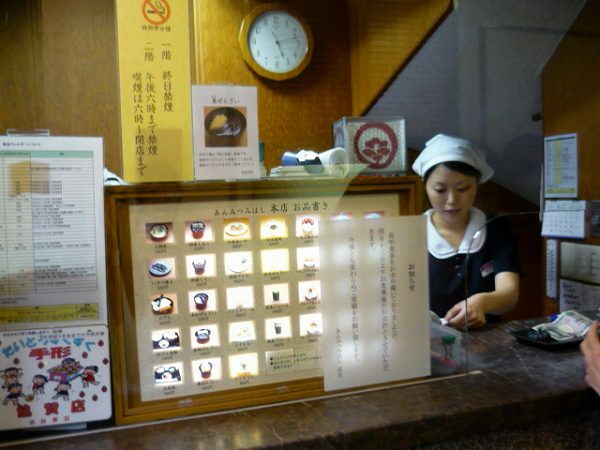 Many restaurants in the past used this system, but Mihashi is one of the few which still do. 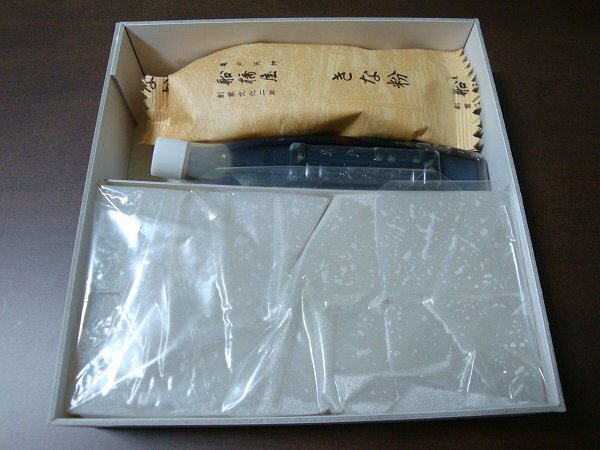 Their signiture item is ANMITSU, which is a made of small cubes of agar jell. 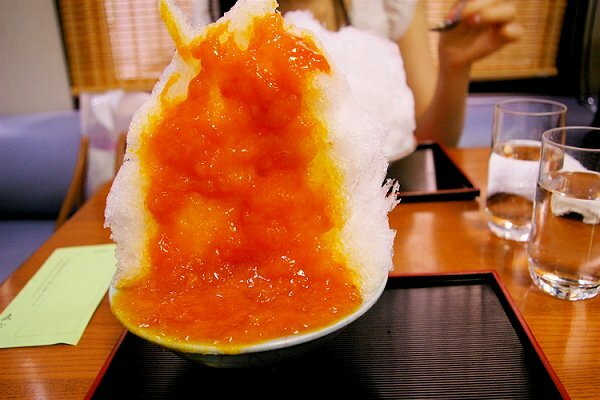 It is a white translucent jelly made from red algae or seaweed. 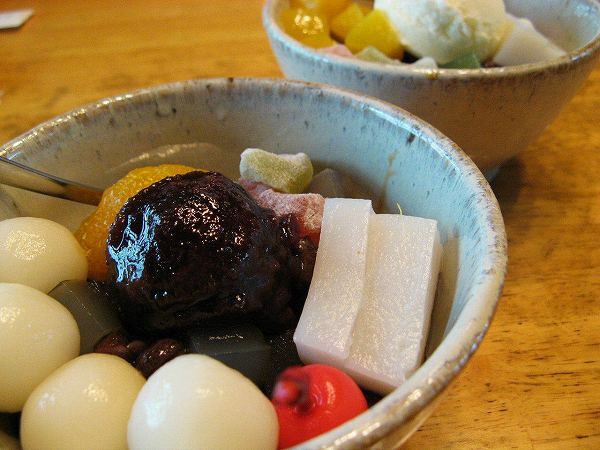 On top of it is syrup covered red bean paste with fruits. 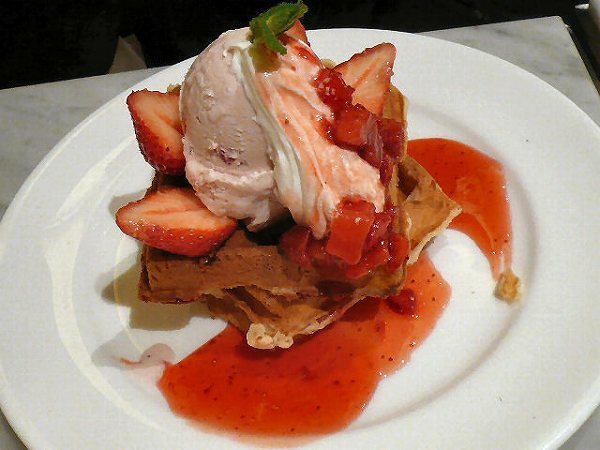 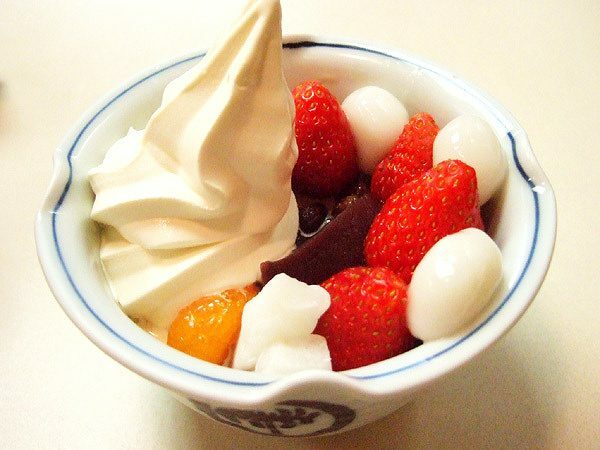 You can add ice cream or soft cream with it and my favorite and probably the most popular Anmitsu is ICHIGO CREAM ANMITSU (Anmitsu with strawberries & vanilla soft cream) for 700 yen. 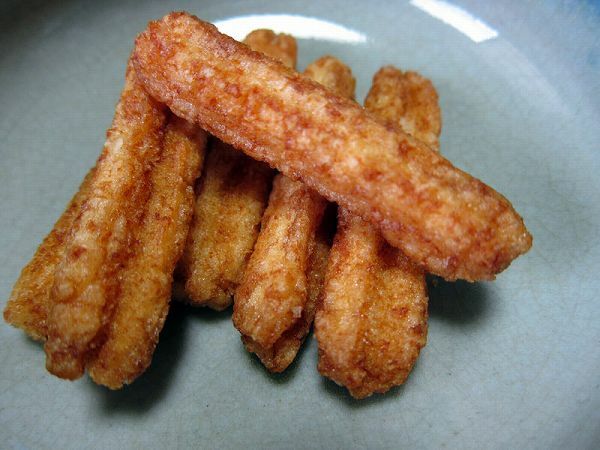 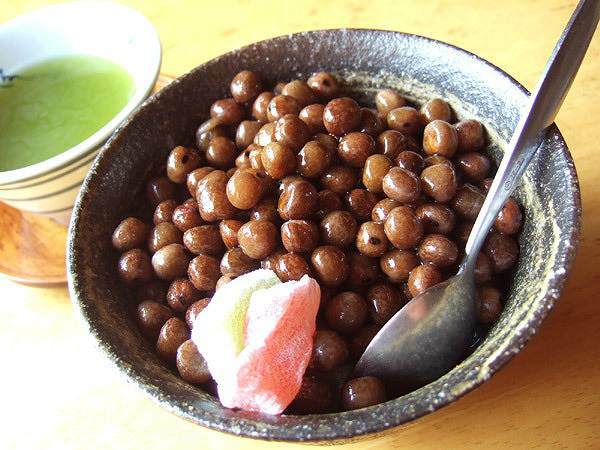 You can also add SHIRATAMA (Rice floor dumplings) for an additional 100 yen, which is used for many Japanese sweets. 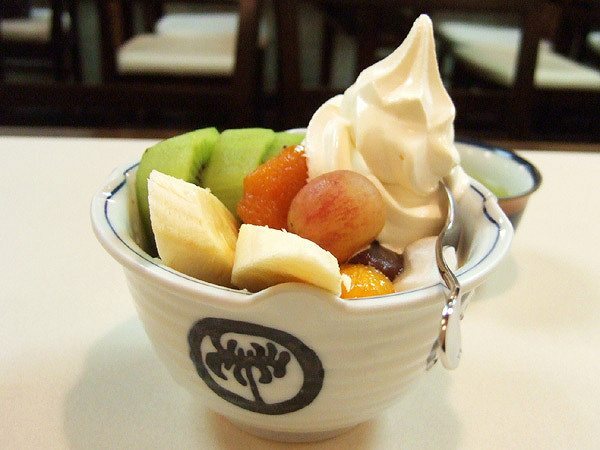 If you want other fruits than strawberries, try FRUITS CREAM ANMITSU (Anmitsu with various fruits & vanilla soft cream) for 690 yen. 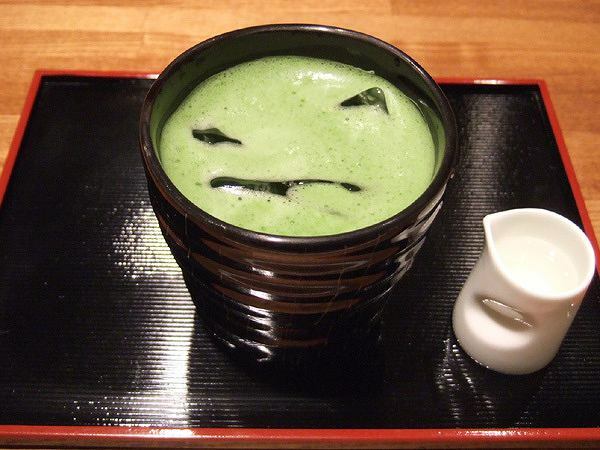 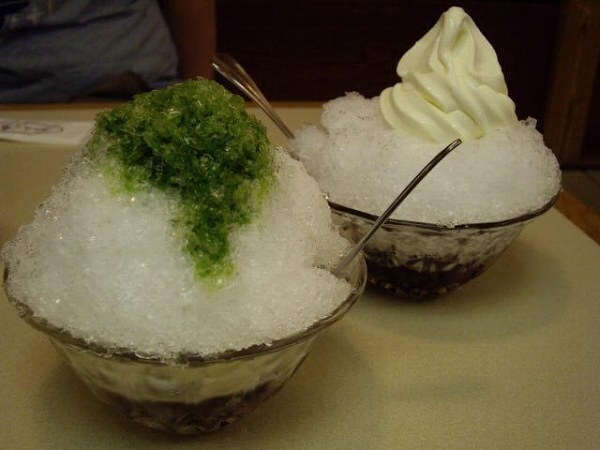 Other popular Anmitsu's are MATCHA ANMITSU (Anmitsu with green tea ice cream) for 560 yen. 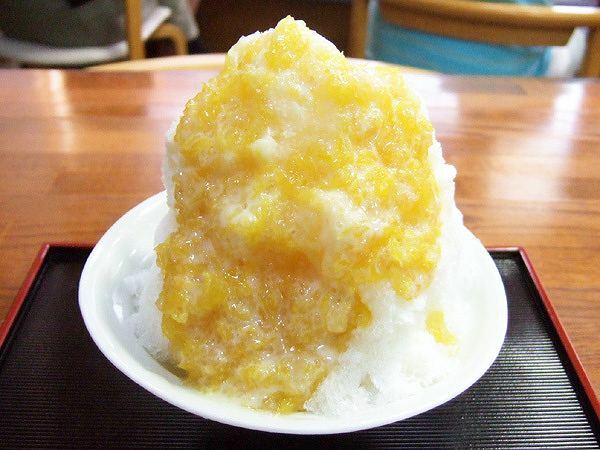 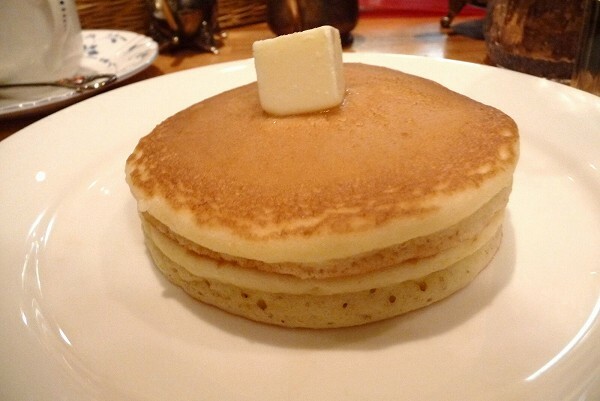 What makes Mihashi's Anmitsu different from others is their original syrup. 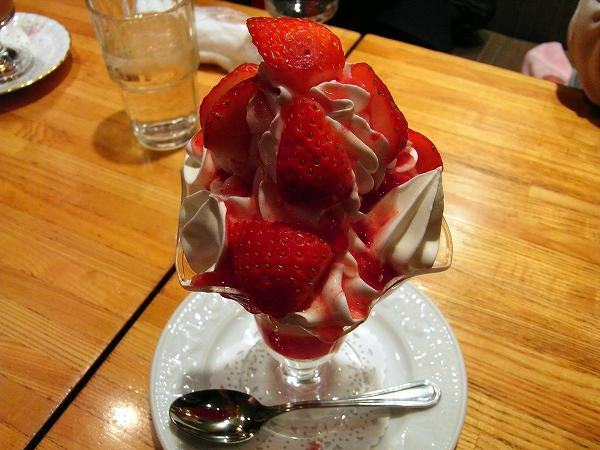 It is not as sweet as others. 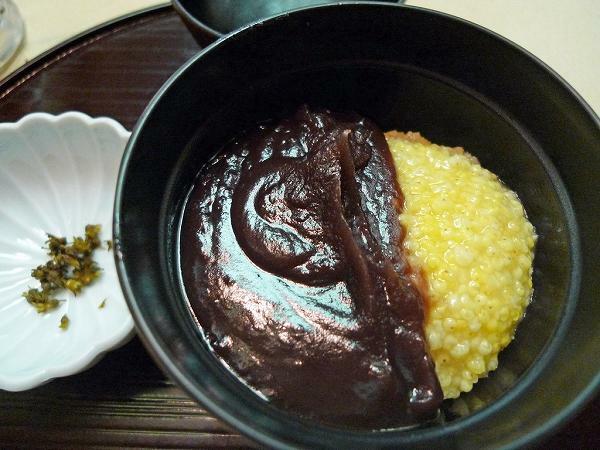 And also, their ANKO (red bean paste) isn't as well. 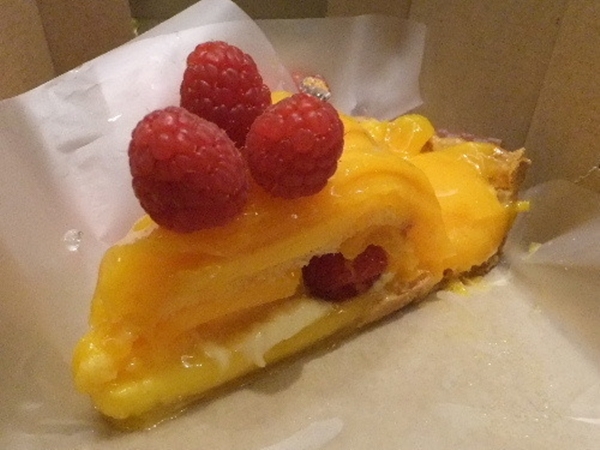 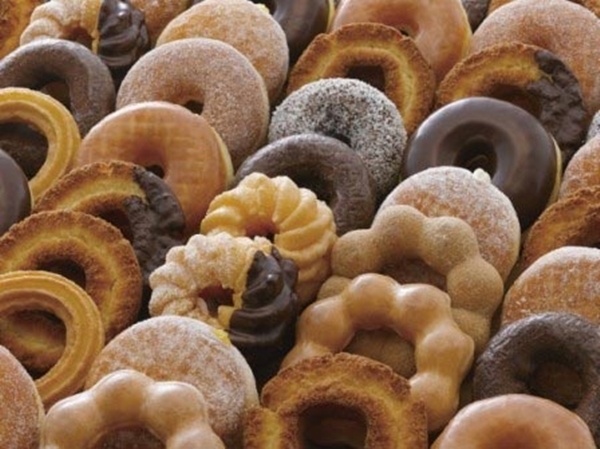 Delicate balance of just being at the perfect sweetness, when you put everything in your mouth. 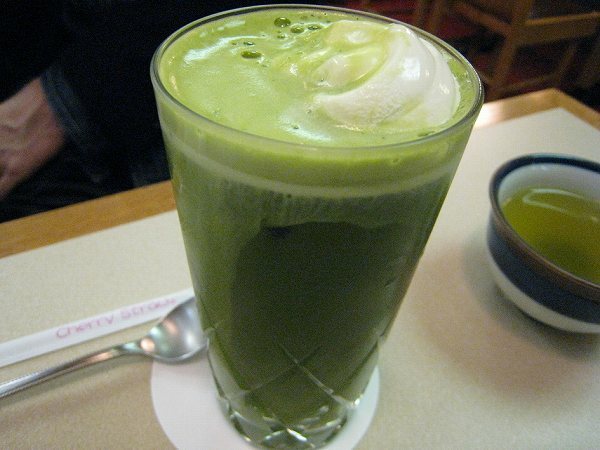 or if you are thirsty, there is MATCHA FLOUT (Green tea milkshake) for 450 yen. 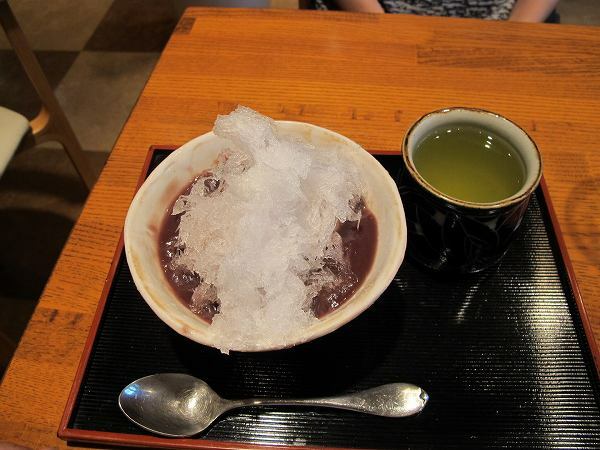 If you want to have something not sweet and filling, they offer OZOHNI (Sticky rice cake in clear dry bonito broth with egg & chicken) for 590 yen. 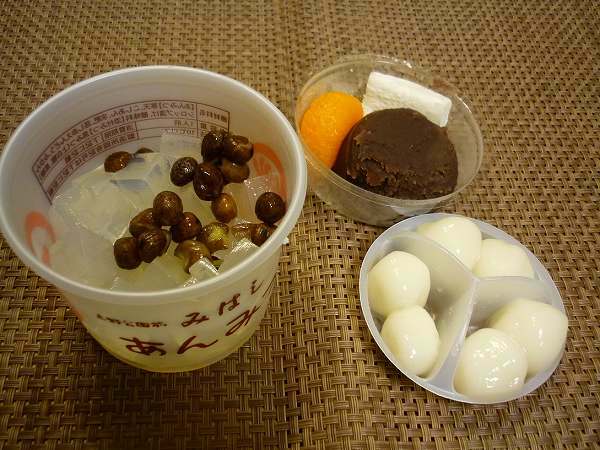 and you can take out any Anmitsu without ice cream/soft cream and also OGURA ICE MONAKA (red bean ice cream with wafers) as well. 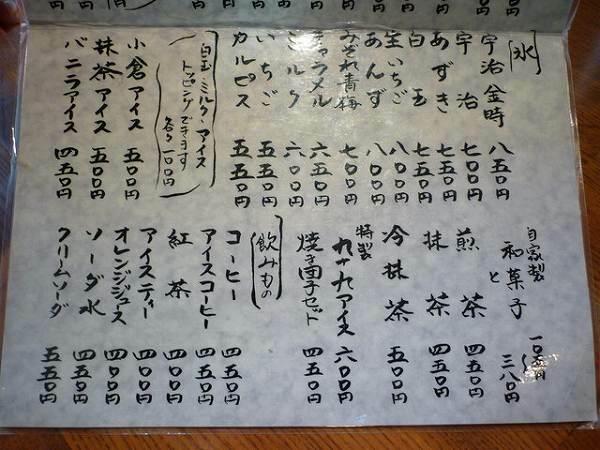 Mihashi opened in 1948 and my grandmother brought me to Mihashi for the 1st time when I was 11 yrs old. 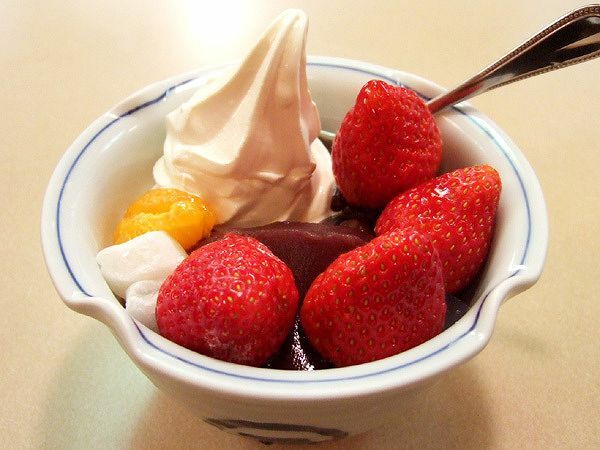 Since then I have tried many other famous and older Japanese desert shops, but to many people including myself, when it comes down to Anmitsu, Mihashi's is the best with or without soft cream.